88 million cars were sold globally in 2016, a 4.8 percent rise from 2015. That same year, according to accounting firm PricewaterhouseCoopers (PwC), the profit margins for car manufacturers and parts suppliers were higher than they have been in 10 years. Other costs (including repair and maintenance) – $2,723 / $2,756 / $2,884. One major assumption that can be made from the fact that the bottom category is rising while the others are falling is that people are maintaining and repairing cars rather than getting new ones. Since the automotive market is such a massive business, and because the car impacts our lives so substantially, it makes sense to understand trends – and to view some of them through a critical, humorous lens. The self-driving car has made headlines since Google started aggressively testing its version. The driverless car would create car market opportunities globally. create the possibility for safer social interaction. The self-driving car is a massive game-changer that will have a ripple effect beyond the car market itself; the assumption is that they will ease insurance prices due to the absence of human error. While these promises are bright, the driverless car should still be considered a long-term development. Kelley Blue Book executive publisher Karl Brauer noted in 2015 that this technology would be on the rise through 2020 but would not be implemented broadly even by that point. By 2020, we should have cars that can be completely autonomous (with no need for a human engineer) under certain conditions, such as rural interstates with clear weather, suggested Brauer. A Digital Trends forecast from 2016 had the same basic projection – that autonomous driving would continue to develop as a number of independent autonomous “driver-assist” capabilities (self-braking, adaptive cruise control, lane keep assist, etc. ), rather than as an immediate transition to 100% self-driving. Automakers have taken steps to blend these different elements into more comprehensive systems; a high-profile example is the Tesla autopilot system, which allows for semi-autonomous operation but still requires the driver’s attention. One autonomous feature that is critically important is vehicle-to-vehicle (V2V) communication, a technology that will be a standard feature in all models in the years to come. This feature makes it possible for different vehicles on the road to share data with each other such as speed, weather conditions, unexpected braking, and collisions. One thing is clear: an all-inclusive V2V mandate is not being actively advanced by the DOT at present. One of the primary issues that has been facing the car industry over the last few years has been that counterfeit parts are being sold to unsuspecting people rampantly. One strategy that could be effective is the use of blockchain for verification. Pricing should become more efficient for legitimate parts as the counterfeit ones are removed from the market. Many baby boomers are retiring and planning adventures. Some of these people are investing in vehicles that will function well on different terrain and surfaces, leading to higher sales of multi-terrain cars. SUVs have been a point of confusion for many families: their space is appreciated, but they do not offer the maneuverability or fuel-efficiency of smaller cars. The crossover is a vehicle design that is midway between a sedan and an SUV. Autotrader analyst Michelle Krebs has noted that sales of these cars are rising, with almost 6 million of this type purchased in the United States in 2016. Poorly designed autonomous features – While it is understandable that self-driving features are a point of obsession and that carmakers want to increasingly include them within their cars, Sapienza notes that these components are often not able to deliver smoothness and stability, leading to frustration. Design that’s a tearjerker – Sapienza is not buying into the PR charm of the carmakers. Apparently an overused buzz term when new cars are released is that they have “emotional styling.” Suffice it to say that the writer is not impressed with this turn of phrase. Shhhh – Finally, cars have been getting quieter over the years as automakers have sought to separate the occupants from the car’s movements. The problem, says Sapienza, is that cars have become so quiet that it is difficult to immediately tell if they are running – which clearly is not safe. One trend that you can see above in the BLS statistics is that people are turning from purchasing new cars to maintaining ones that they already own. Whether you are for or against the development of any of the above areas within the automotive field, you need an honest mechanic for your car. At Independent Motors, 90% of the auto repair we do is repeat business. See our history and beliefs. 1.) For optimal fuel efficiency, choose to roll down your windows over the AC. Having the AC on will make a car consume fuel faster. However, rolling down the windows is also problematic because it increases wind resistance, which counteracts the car’s aerodynamic design. To overcome the resistance, the car will need additional fuel. 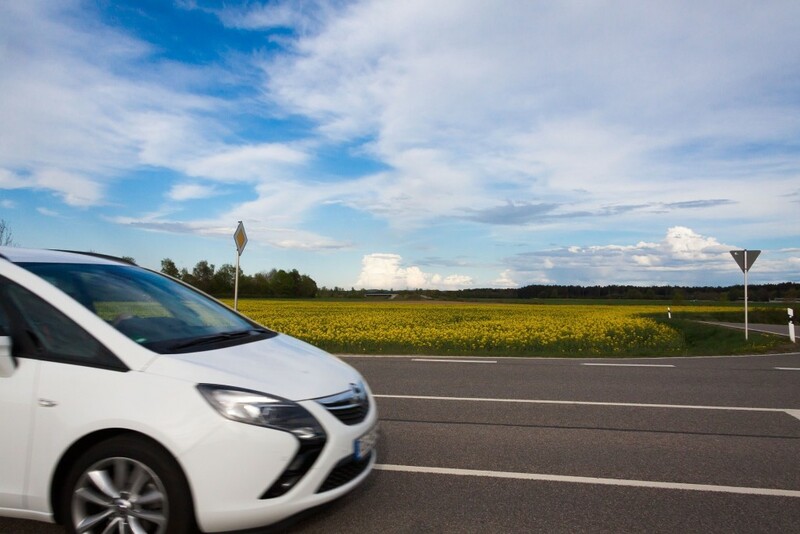 Approximately the same amount of gas is used if you roll down the windows or use the air conditioner, according to the Automotive Training Center (ATC). Consumer Reports has the same basic findings. The consumer advice publication noted that the impact of air conditioning on fuel economy is minimal. Since the difference is negligible and it yields improvements in driver comfort and alertness, the magazine recommends using the AC without reservation. 2.) Use laundry detergent or dishwashing soap for car washes. Any of the household detergents you use are dangerous to your car because they will wear away the wax finish, notes Machine Design. The soaps that are specifically designed for car washes will keep your wax safe. 3.) You want your tire to have the same pressure that is listed on its sidewall. On the sidewall of your tire, you will see a pounds-per-square-inch number that represents the most the tire could contain for safe driving; in other words, it is not the PSI that is recommended in order to standardly get the best comfort, fuel economy, and handling. The ideal PSI for the car should be available on your fuel-filler door, within your glove box, or on a doorjamb sticker. If you take the maximum PSI and reduce by 10, you will get a 1 mpg improvement in your efficiency on average, per Consumer Reports tests. However, the key concern – where the difference in pressure can be even more valuable – is in its impact on tire wear, braking, and handling. To stay on top of pressure, use a tire gauge once per month; the best time to check is when the car has been sitting for several hours. 4.) It is prudent to change oil every 3000 miles, regardless the vehicle. The traditional model of car could use an oil change every 3000 miles. That truism has been outgrown by developments in engine operation and design. You will not cause damage with additional oil changes, but you may only need one every 5000 or 7500 miles. See your owner’s manual for advice specific to your model. 5.) You will get better fuel economy if you fill up your car each morning. Often people will advise to get your gas in the morning rather than later, so you can benefit from the greater density of cooler temperatures. This piece of advice fails to take into account that the gas is stored in tanks underground; because of that, you won’t see much temperature fluctuation throughout the day. The fuel will not typically get hot while it comes through the pump as long as business is relatively steady. Simply changing your route to get gas when it could be slightly cooler will outweigh any gains you might see by giving preference to morning fill-ups – so effectively, time is irrelevant. Just get gas whenever you drive by a station. 6.) When you run over a nail, you need a new tire. An auto repair shop will be able to fix a nail or other small puncture with a patch, rather than having to replace the whole tire. 7.) Don’t ever just replace a single tire. 8.) Once you jumpstart your car, you can then recharge the battery in a quick drive. It actually takes hours of driving for a complete battery recharge, particularly if it is colder. Your alternator can only use extra power that is available to recharge after supplying it to music systems, heated seats, and other auxiliary components. Get a load test at a gas station to make sure that the battery is capable of maintaining a charge. Once you know the battery is still functional, you can use a battery charger for a few hours to give it a full charge. 9.) You will help any car by giving it premium gas. In most situations, a car will perform just as well on standard, 87 octane gas. Premium-octane fuel will not cause any problems but will typically not improve how it operates. As the octane number rises, you become less likely to experience pre-ignition issues with the gas – for which reasons it is suggested specifically for use with engines that are high-compression and run hot. If you have a car that is not high-compression and that can use any octane of unleaded fuel, the low-grade version will be fine. When the manual recommends a higher octane but does not require its use, standard octane should still work fine. The manual will make it explicit if high-octane gas is needed, in which case you will have to buy it. 10.) Octane ratings do not matter. While there is no advantage to using premium fuel in a car designed for regular, there is a reason the premium fuel is there: some models do require it. You could cause engine damage if you use standard gas in a premium-fuel car. 11.) Coolant should be flushed every time you change the oil. Generally, an owner’s manual will advise to switch out the coolant every 60,000 mile or 5 years. If you keep having to refill the coolant reservoir because the level drops, you may have a leak. 12.) It is important to make sure your car is warm before you drive it. Warming up the car applied to older engines. Today, you will have the most success getting your engine temperature up by driving; once it is warm, you will get stronger performance and efficiency. Be careful about not revving the engine until you have driven the car for a few miles. 13.) The car should be fine if you cannot see or hear a problem. If there is an issue with your car, it will not always be apparent. Drivers often do not notice problems. Bringing the car in to get it checked by a technician can help uncover any issues. 14.) If you want your warranty to stay active, you need to use the dealership for all maintenance. You don’t need to have the job completed at a dealership. You simply need to follow the schedule in the owner’s manual to determine that work is performed at the listed intervals. There are many myths about car maintenance. However, the reality is that you could easily lose 50,000 of the life of a car by not maintaining it properly, according to Edmunds.com senior consumer advice editor Philip Reed. 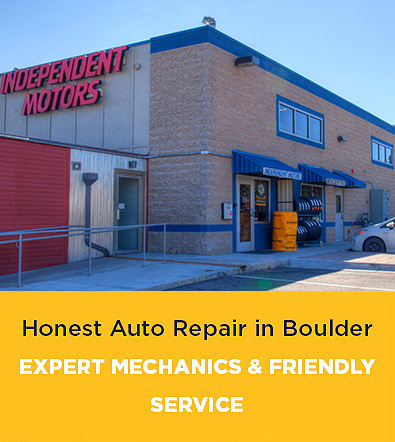 Are you looking for honest auto maintenance and repair in Boulder? At Independent Motors, 90% of the work we do is repeat business. Meet our staff. With 16 cents of every US household dollar going toward transportation, you owe it to yourself to be careful that you spend wisely and do not make any car maintenance mistakes. Here, we look at 12 of the most common errors that are made by car owners. Getting from point A to point B may sound simple, but it is certainly costly. In fact, 2016 figures from the Bureau of Labor Statistics (BLS) reveal that transportation accounted for an average of $9,049 out of the $57,311 in costs incurred by each consumer unit. In other words, transportation represented nearly 16 cents out of every dollar (15.79%) spent by each household or financially independent individual. Of that $9,049 figure, $3,634 went toward buying cars; $1,909 went toward oil and fuel; and $2,884 went toward other expenses, such as maintenance and repairs. Since transportation expenses are such a substantial chunk of a typical budget, it is important to make sure that this money is being spent in the correct ways. Plus, maintenance is about preserving your car – so avoiding common mistakes will allow you to spend less on automotive purchases by extending the life of your vehicle. Let’s countdown, in David Letterman fashion, the top ten most common car maintenance mistakes provided by CarMD in its annual analysis of car data from mechanics and car owners, the 2017 Vehicle Health Index (released in April). Then we will go through a couple other common problems not listed in that study. #10. Attempting to perform the maintenance oneself. The more sophisticated technologies of newer models often require professional expertise for proper care, per CarMD. #9. Foregoing original equipment manufacturer (OEM) components. Generic parts are inexpensive upfront but can have a greater risk of failure. #8. Choosing a mechanic that is inept to service the car. 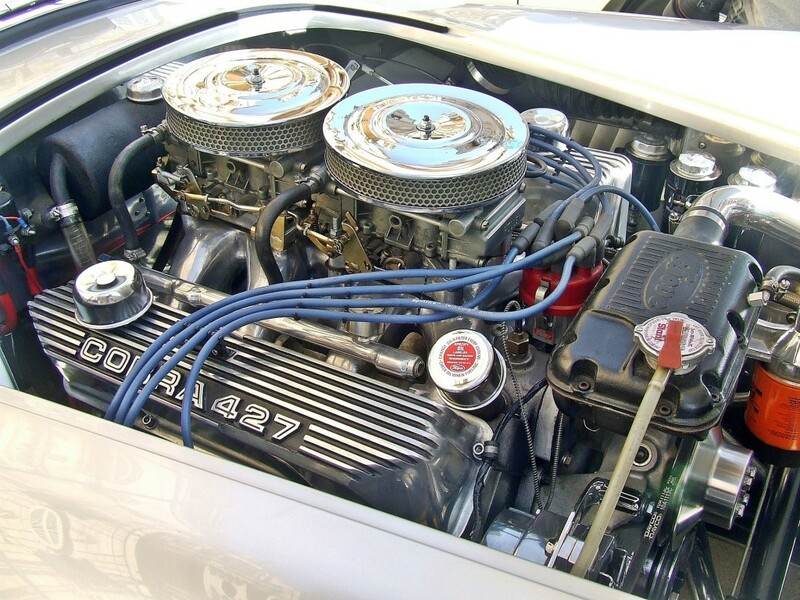 We know that it can be tricky to vet mechanics if you are unfamiliar with car repair. However, you can look for strong reviews and credentials to guide your choice. #7. Not switching the fuel and air filters on a regular basis. In Mandi Woodruff’s analysis of this list in Business Insider, she noted that the failure to replace an air filter is a particularly key point since dirty filters can have a domino effect, leading to failed oxygen sensors. The failure of an O2 sensor can, in turn, lead to fuel inefficiency (i.e. higher costs at the pump) and possibly the need for a new catalytic converter. #6. Staying on the road after the car begins to overheat. 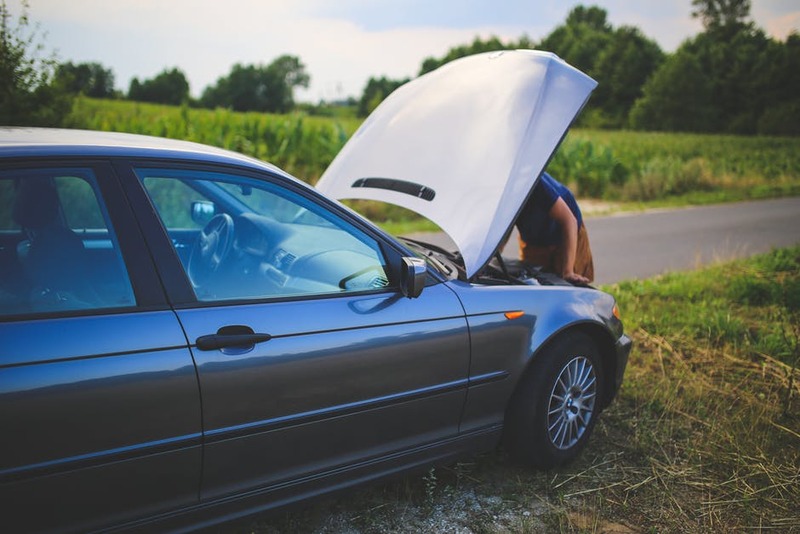 An important thing to ask yourself in life is, “What is the worst thing that could happen?” In the case of staying on the road after your car begins to overheat, you could end up with expensive problems such as a cracked or warped head; blown head gasket; cracked engine block; or engine bearing damage. #5. Not paying attention to the levels of fluids. Beyond oil, be sure to regularly check transmission, brake, and coolant levels. #4. Skipping gauges of the tire pressure. Your tires will gradually lose their pressure as time passes. When there is not enough air in them (whether you can see it yet or not), your fuel-efficiency gets worse. More gas means car ownership costs you more each year; plus, you will have to switch out the tires more quickly. You should be able to stay on top of tire pressure well by checking once a month. #3. Neglecting to get the oil changed at carmaker-recommended mileage intervals. There is a reason that there is so much talk about the need to get oil changes before road trips and on a regular basis. The CarMD report, referencing the survey of mechanics that made up part of its study, said that oil changes are at the top of the list as the “most damaging car maintenance item that their customers neglect that they wish they could change.” When the oil is not changed regularly, it gets dirtier – which could eventually cause engine failure. Now, you don’t need to overdo it with oil changes. Rather than simply changing oil every 3000 miles, use the specifications from you owner’s manual. #2. Failing to respond when the “check engine” light appears. Why do you need to worry about that “check engine” light? For the same basic reason as you want to pay attention to the air filter: you could end up with a broken sensor and a misfiring engine. Again, if the oxygen sensor goes down, so could lose your catalytic converter – which is one of the most expensive repairs you can encounter. #1. Delaying maintenance beyond the owner’s manual schedule. There are many reasons why people do not keep up with a routine car maintenance schedule, especially when the replacement of a part is involved. According to automotive market research firm IMR, the top two reasons for not performing maintenance are that the car owner could not find time (33%) or that they did not have funds for it (31%). Other reasons are that failing to get the repair was not impacting their ability to drive (14%); they would soon be selling the car (4%); the person could not be without the car (3%); their mechanic did not immediately have the part (2%); and they were getting a second opinion (1%) – while 14% gave other explanations for their delays. Almost all vehicle owners (91%) see themselves getting the work conducted eventually. Unfortunately, it can be incredibly costly to delay these tasks (as discussed in our article “Skipping Car Maintenance Can Be Expensive”). The nonprofit Car Care Council lists the top maintenance issues to protect yourself and your investment are oil and other fluid checks; filter, hose, belt, and tire replacements; and air conditioning checks. Failing to replace burned-out lights. Putting new lightbulbs in your car is fairly simple and affordable. You will know if your headlights or high beams go out pretty quickly when you drive at night. However, other lights such as taillights and brake lights may not be immediately apparent. Check them occasionally. If one of your lights burns out, it is straightforward to replace it using your owner’s manual. If you do not want to do it yourself, you can have a mechanic that charges fairly do it for you. Make the switch one way or another, because when lights go out, you increase your likelihood of getting pulled over by the police or getting into an accident. Trying to jumpstart the car incorrectly. Jumpstarting the car is a task that people often find themselves performing without necessarily feeling confident doing it. Actually, before you even get started, be certain that you are safely out of the roadway. You also should not be smoking, and you should be wearing eye protection. The cars obviously have to be close (assuming you’re jumping from another car and not from a portable jumpstarter), but you do not want them to be touching. Are you currently delaying maintenance or otherwise concerned that you are doing the right things at the rights times? Preserve the life of your car by speaking with an honest auto shop today. At Independent Motors, we charge fair prices and pay our crew fair wages, keeping everyone happy. Meet our staff. What Auto Makes Cost the Least to Maintain? There are many different factors the typical person takes into consideration when looking to purchase a new vehicle. 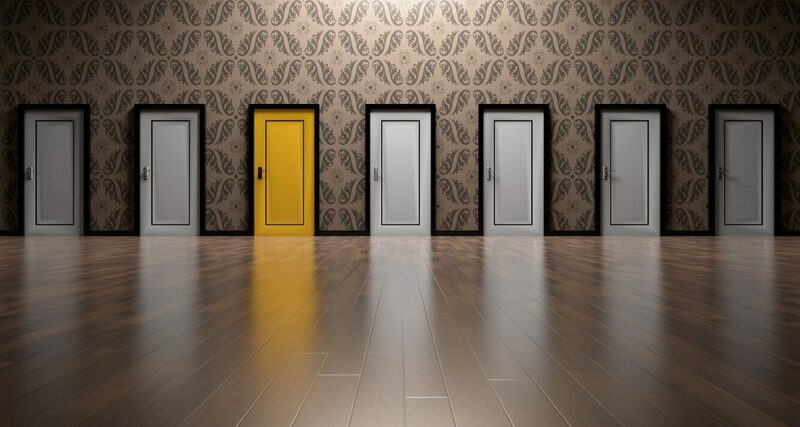 Everyone has their own individual needs, but it’s safe to say we all generally look for the same things: space/size, mileage, durability, able to withstand local climate, price, and work-related needs. We want to get the most bang for our buck, so to speak, and a big factor in the decision we have to make when purchasing a vehicle is how much it’ll cost us over the course of the vehicle’s lifetime. After all, a relatively low price upfront can easily be offset over the years if you’re in constant need of repairs and costly ones at that. There are two things to keep in mind when trying to calculate how expensive a car will be to maintain over the years you plan on keeping it: the frequency of repairs and how much these repairs actually cost. Repairs are inevitable, though of course, you want to keep them to a minimum. However, it’s important to acknowledge regular maintenance is what will keep your vehicle running well for longer. Secondly, some vehicles cost more to repair than others due to the specific parts, complexity, etc. You could find yourself in a scenario where a similar repair in two vehicles could cost more for one of them due to the nature of their build. No one but you can say what motivates you the most when buying a vehicle. It could be status and luxury. But if you’re like many people, the bottom line is what will motivate you to make your decision. The question then becomes what brands cost the least to maintain? How about which ones are the most expensive? Do Honda repairs cost less than Lexus repairs on average? How about Toyota repairs? Are Audi repairs as expensive as one would think? We have a fairly good idea of what the answers are to those questions due to the wide variety of vehicles that have come through the shop over the years. If you’ve been wondering which auto makes will help you stretch your dollar the most, we’ve got the information you need. Let’s take a look at some brands. In the grand tradition of the “bad news or good news first?” conundrum, we’re opting for the not so great news first so we can soften the blow in the next section. Now, if you own a vehicle by one of these brands, we’re not saying you’re going to need to dip into your children’s college fund to keep them running. But, know that on average these auto makes tend to cost a bit more to maintain relatively speaking. If you have a preference for German cars, unfortunately, you’ll also be dealing with high repair costs due to German cars in the aggregate costing the most to maintain overall. BMW tends to lead the pack here when talking about costs in the long term. It is true that maintenance and repair costs are low for BMWs if you’re talking about the first five years. During this initial period of ownership, the company offers free maintenance under warranty. However, once that warranty expires, you’ll begin to see costs pile up. On average, BMWs cost significantly more per year to maintain than other brands. Mercedes-Benz and Audi are up there as well. But, not to pile too much on German manufacturers, Cadillac is high up on the list as well. What luxury car models all have in common that make them so expensive to maintain is that they are more complex in their construction, making parts and labor more costly. For example, in the case of Audis, consider that while many cars allow you to replace the brake pads with minimal issues, an Audi model will have computerized sensors on the brakes which require a longer amount of time to navigate. Making this repair is more complicated. Another important thing to note is that it’s not just luxury models. While nowhere near the highest in terms of cost, in fact it’s in the middle of the pack, brands like Kia can cost a good amount to maintain overall despite being some of the lowest cost vehicles up front. In fact, it’s the brands with the lowest sticker costs that cost the most to maintain after the luxury brands. If you didn’t see your particular auto make in the above section, you might be lucky enough to find it in this one. Here are some of the more cost effective brands when it comes to repairs. It may not surprise you to hear that Japanese cars tend to cost the least to maintain. Honda repairs make the list for the least costly. Interestingly it isn’t so much because the parts and labor are extraordinarily cheap when it comes to the competition. Rather, Honda makes the list because of their remarkable durability and less of a need for repairs overall throughout their life cycles. Hondas are known to not only be durable but also great at retaining their value. This is why you can find even older Hondas with some clear wear and tear on them still fetching some incredible prices on the independent seller market. Toyota repairs also cost less overall. In fact, they are considered one of the cheapest auto makes to maintain over a period of ten years and beyond. The reason for this is threefold. They consistently get high marks for the fewest incidences of “check engine” related lamp problems, their repairs aren’t as involved as some of their luxury counterparts, and generally, the parts needed aren’t very costly. Less of a need to perform repairs combined with lower repair costs when they do happen, make Toyota a popular brand with the budget conscious. Nissan, while not in the lowest priced tier, is still relatively cost effective. It approaches Kia territory of the middle of the pack, while not being quite as expensive to maintain during the advanced years of ownership. As a brand, what makes them not quite as competitive as Honda or Toyota is the increase in repairs needed in some of the older Nissan models that are still on the road which aren’t quite as durable as models from recent years. Whether you have a vehicle that is on the most expensive least or the least expensive, a big contributor to keeping costs down in the long run is performing regular preventative maintenance. By being serious about the upkeep of your vehicle, you can mitigate some of the bigger expenses that come up down the road with years and miles of wear and tear. At Independent Motors we value our ability to deliver professional auto services at a fair price. We know that saving money when possible is important to you as a customer. We specialize in many different types of auto makes and we’ll perform the repairs needed to keep your car running reliably. Call us today and schedule a time to bring your vehicle in. Our experienced technicians will give you honest answers about the kind of repairs your vehicle needs and will perform them at competitive prices. Winter is never easy on your vehicle. If you’ve hit potholes in the road, your tires may have lost pressure, CAA South Central Ontario says. And your brakes may have accumulated road salt; your wheel alignment may not be right after driving on slick roads; and your car may be covered in a mixture of leftover snow, grime and salt. That said, the snow has melted (hopefully), and the temperatures are finally nice again. April is National Car Care Month, making it the ideal time to give your vehicle a good inspection. Here’s a 25-point car care checklist so you know you didn’t miss anything. You may not have used your windshield wipers much in the winter, except maybe to sweep away light flurries. However, rainy weather typically accompanies spring. Affordable Auto Service in Hopkins, Minnesota, recommends changing out windshield wipers now before getting caught in the rain. Speaking of windshields, you better watch your wiper fluid. The experts at Be Car Care Aware in Ottawa, Canada, suggest taking a look at coolant, transmission, brake and power steering fluid levels. “Keep in mind that your power steering, brake and coolant systems are closed, so low fluid levels may indicate a leak,” they say. Nathan Duke at AAA Northeast says that a car’s plugs and batteries can be depleted up to 60% faster than when the weather is warmer. The colder it gets, the more these components strain to keep the vehicle going. You can take a look at the parts yourself if you feel comfortable doing so; otherwise, call a mechanic to do the job. The warmer the weather gets, the more you’ll see neighborhood kids offering car washes. If your vehicle is covered in road salt and grime, you should prioritize this job for more than just aesthetic reasons. As Ashley at Embracing Homemaking notes, leaving that road salt on the exterior for too long can deplete the color and corrode the metal. While you’ve got your bucket, soap and sponge handy, John Goreham at BestRide writes you should give your car’s undercarriage a good cleaning. Just like the exterior of the vehicle, the undercarriage can get a gunky accumulation of grime and road salt. If you don’t want to get down on all fours during cleaning, Goreham says a hose will get the job done. Everyone loves that shiny, picture-perfect look of a car after it’s freshly cleaned and buffed. As Precision Tune Auto Care notes though, just like cleaning your car, you should wax it for more than just that glimmering finish. A good wax will protect your vehicle from spring weather that may loosen branches or pelt the car with rain. You should continue to wax every few weeks or so to keep your car safe. 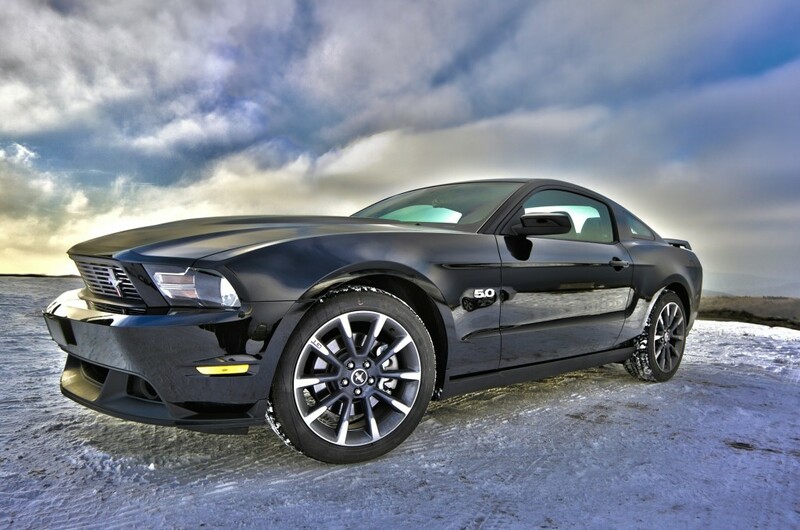 Once your car’s exterior is grime-free, give it a thorough look, Jil McIntosh at Autofocus advises. Do you see any scratches, chips or other damage? These are dangerous for the long-term health of the vehicle’s paint, McIntosh says. Like road salt and other debris, this damage can also corrode the paint, so don’t wait to fix any scratches if you find them. Spring is prime allergy season, and the cabin filter could contribute to that sneezy and sniffly feeling, according to YourMechanic. This filter can prevent allergens from getting trapped in the car. If you haven’t changed out your cabin filter in a while, you could be breathing in pollen, dirt and dust each time you hop in for a drive. Above, we mentioned how potholes and wintry roads can deplete tire pressure. Kix Brooks Radio spoke to the team at O’Reilly Auto Parts, and they mentioned that even though tires may look fine, they could be running out of air. “Tires lose 1 to 2 pounds of air pressure for every 10 degrees the temperature drops outside,” the O’Reilly team explains. 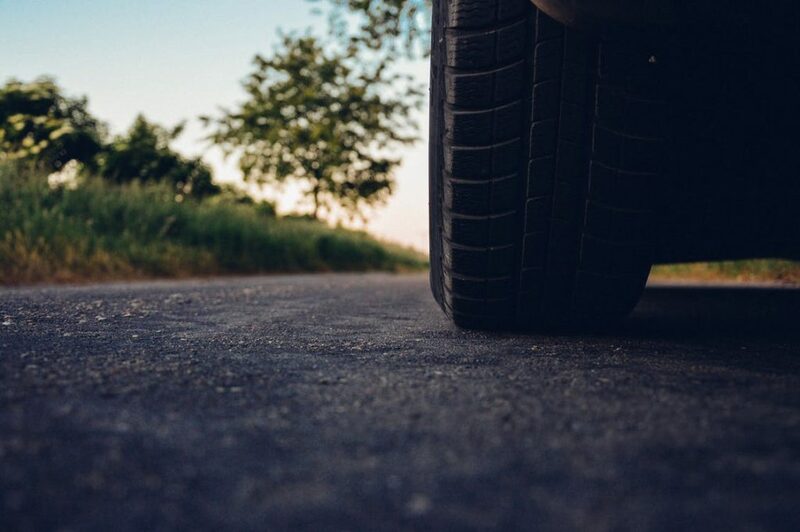 Spring temperatures can sometimes fluctuate, so make sure to check tire pressure regularly. Mobile car detailing company Spiffy recommends replacing the vehicle’s air filters. Also, if you live in an area where spring weather can quickly switch from warm and temperate to hot and summer-like, don’t wait until June to check whether your car’s air conditioner is working. Test it now so you have plenty of time for AC repairs if needed. The frigid winter temperatures may make you less inclined to make a ton of trips to and from your car. In the interim, stuff accumulates in the backseat and the trunk. On a sunny warm day, go through everything and decide what you should throw out and what should go in the house, Infiniti of Grand Rapids writes. Now that your backseats and trunk are mostly empty, repair company CARite recommends that you clean any items in there you can. Vacuum the seats and the floors, wash the back windows and dust off your dashboard. 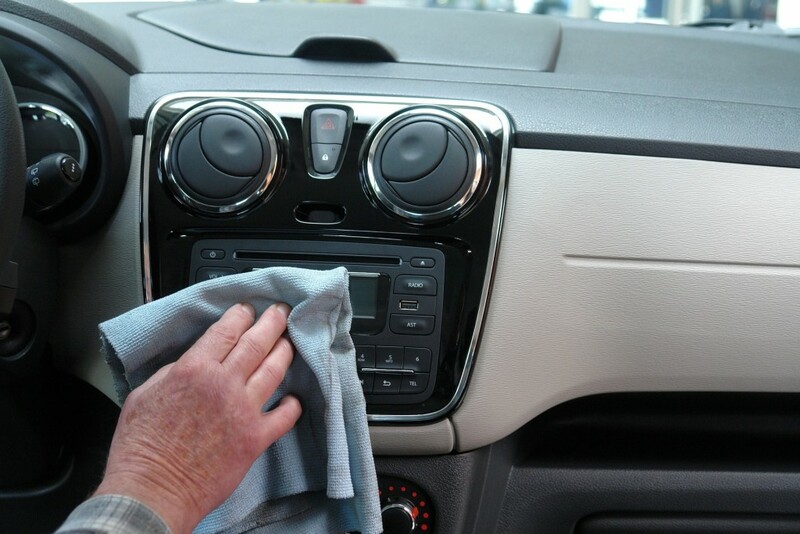 Alliance Auto Sales in Wauconda, Illinois, warns against putting that vacuum away just yet: “You want to get into the habit of vacuuming while you are dusting the interior to prevent dust from floating to parts of the car that were just cleaned,” they say. They also suggest using the bristles of a paintbrush to dust off the air vents. If you have any leather surfaces inside the car, including seats, Eric Weiner at Automobile Magazine suggests sprucing these up with leather cleaner. After applying the cleaner and lathering in it, Weiner recommends using a cotton towel to gently remove any leftover traces of the cleaner. Whether your winter was snowy or dry, VIP Tires & Service in Lewiston, Maine, suggests looking under the hood for unwanted debris that can slow down the car. Acorns, pine needles, road salt and crunchy leaves can all prevent rubber gaskets, drainage holes, vents and the engine from working optimally. 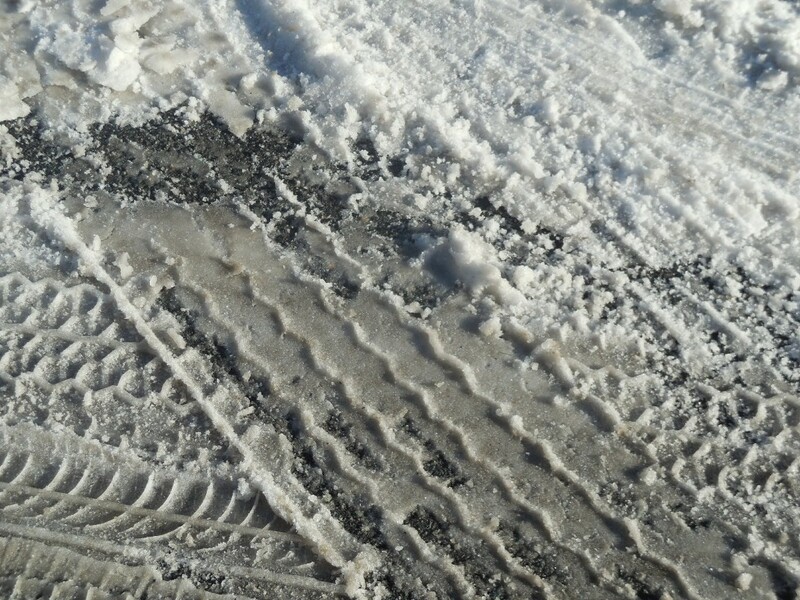 As mentioned above, driving on slick snowy roads littered with leftover road salt can wreak havoc on tire alignment. D&S Automotive Collision and Restyling in Mentor, Ohio, notes that now is the time to look at your wheels and tires. Swap out your winter tires for all-season ones, and give the tires a look to see whether the tread is too worn. You’ll also likely want to rotate and align them now. Although the days are longer and the sun sets later, you still don’t want to be in a situation where you’re on the road and your bulbs, blinkers or lights go out. Not only does this make driving dangerous, but you could get ticketed. Jim Sigel Automotive in Grants Pass, Oregon, recommends testing all lights now. If these go out, most of the time you can change the bulb yourself. Honda of Kirkland in Washington recommends taking a good look at the car’s hangers and supports. Check them for any signs of wear and tear. Exhaust leaks are no good, so if you see one contact your mechanic, stat. As Desjardins Insurance says: “Spring is the perfect time to take a look at your car insurance policy and make any necessary updates.” Of course, your policy may be fine as it is, but if you want to reduce your coverage or add a new plan, you might as well take care of this now. 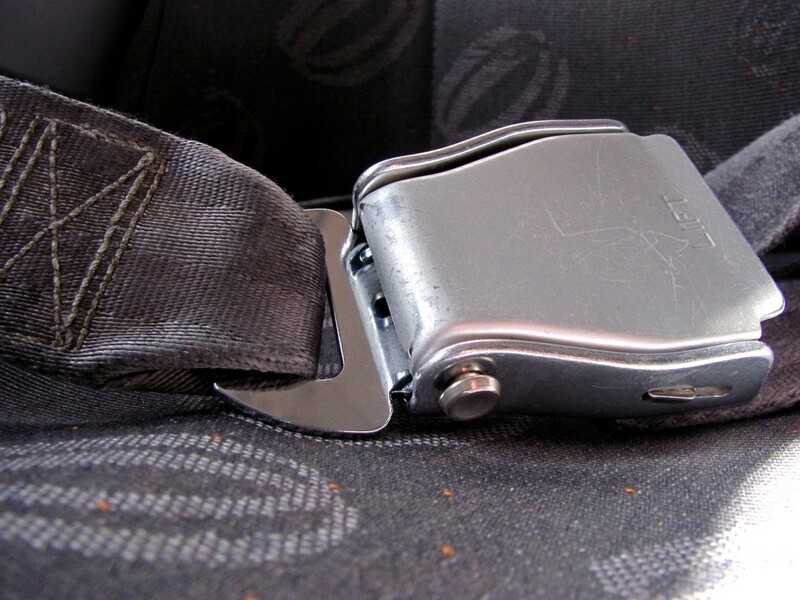 If any of your belts are too slack, you will need to contact a mechanic to get these tightened or replaced. “Cold winter weather often weakens your vehicle’s belts, and if they snap or break while you’re cruising around this spring, a tow truck will be the only way to get your vehicle moving again,” Austin’s Automotive Specialists in Texas says. 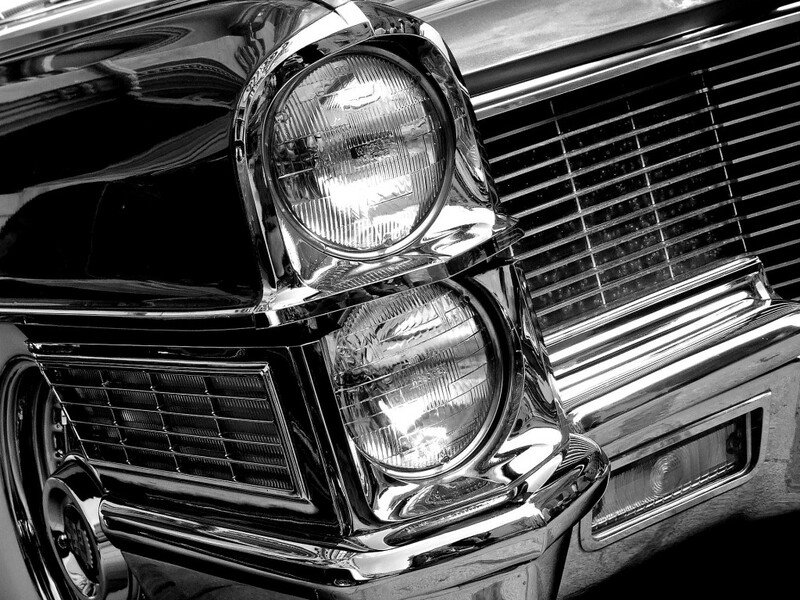 If you’ve never touched your car’s mirror housings, bumpers, sidewalls and other black surfaces because you’re not sure how to clean them, Bob Weber at the Chicago Tribune recommends buying a cleaning gloss intended just for those surfaces. If using an aerosol can, spritz some on a cleaning cloth and then gently rub these surfaces, Weber advises. Avoid getting the cleaner on brake rotors and wheels. If your car stalls or idles roughly when driving, or if it takes multiple attempts to get your vehicle started, it’s time to go to the mechanic, Christensen Automotive in Reno, Nevada, says. While this can seem like a serious issue, it isn’t always. Ignition wires may have burned out, the air filter may be too grimy or the spark plugs may need to be replaced. By regularly doing some of those repairs yourself, you can prevent a rough-idling engine in the future. The drains in the car, particularly near the doors and the front cowling, allow fluids to naturally move. However, if these get clogged with debris, they’ll stop working properly, Midwest Performance Cars in Chicago says. Water and other fluids can then spill on the dashboard or floors, making for quite a messy trip. If some of these jobs seem a little out of your comfort zone, or if you think your car may have been damaged during any winter drives, always go to the pros. 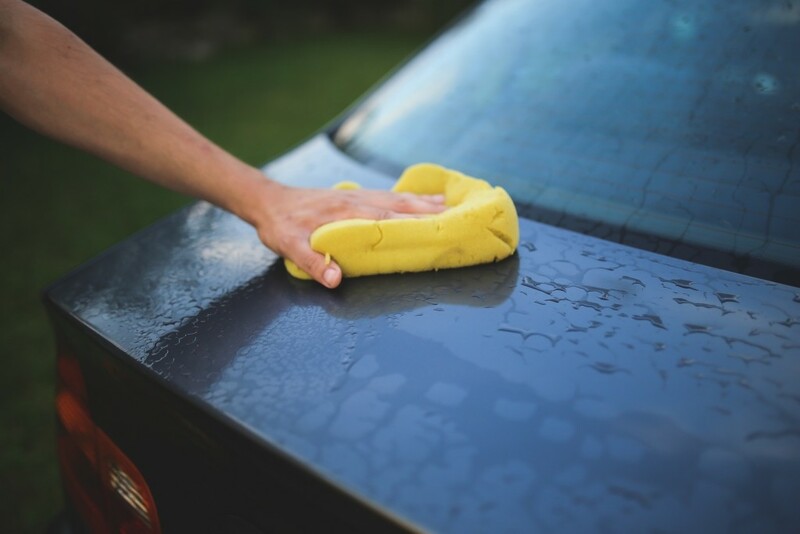 Nancy Yang at MPR News spoke to the National Institute for Automotive Service Excellence’s vice president, Tony Molla, and he says that scheduling an inspection should be at the top of your spring car care to-do list. Whether you’re a classic car fanatic or you prefer the newer models coming down the pike, there’s nothing like an auto show. If you can’t get enough of these events, now is the time to start buying your tickets — and maybe cashing in any airlines miles you’ve saved up. Here are 25 awesome upcoming auto shows around the world to keep an eye on this year. Industry insiders might be the only people who will catch most of these — unless you’re also planning trips to Zagreb and Bangkok this year — but anyone can (and should) follow coverage of these shows. The Bangkok International Motor Show has been around for 37 years, yet its popularity keeps growing. In 2012, nearly two million people attended; last year’s attendance records estimated that the event received over 1.7 million visitors. From March 23 through April 3, you can see what the hype is about. The Tulsa Expo Center is home to the Tulsa Auto Show on the weekend of April 15. Prepare to see the newest vehicles from Maserati, Audi, Subaru, Lexus, Jaguar, Fiat, Volvo and more. The State Fair of Texas auto show runs from September 30 until October 23 at Fair Park in Dallas, so you have plenty of time to check out the event. If you’ve been to this fair before, the car show is a new addition, but it’s also a hefty one: There will be at least 400 cars from all the major manufacturers. A staple in Peoria, the Central Illinois Auto Show will celebrate its 26th year in 2016. The event, presented by the Peoria Metro New Car Dealers Association, will take place on the weekend of April 4. Nearly 40,000 people will gather at the Peoria Civic Center to see cars from more than 30 automakers. There’s even a No. 38 M&M’s Ford Fusion NASCAR racing simulator. Test drive the newest Toyotas, Fiats, Rams, Dodges, Jeeps, Chryslers and Fords at the New Mexico International Auto Show. The Albuquerque Convention Center will have plenty of brand new trucks and cars on display from April 15–17. There will also be alternative fuel vehicles, crossovers and SUVs from major automakers. Check out the coolest 2016 models at the Alabama Auto Show and give back while doing so: money from ticket sales goes toward charities for children that the Birmingham Automobile Dealers Association supports. The show runs from April 7–10, giving you four days to get to the Birmingham Jefferson Convention Complex. A Father’s Day tradition in Beverly Hills, the Rodeo Drive Concours d’Elegance blends automobiles with entertainment, design and fashion for one unforgettable day. Brand new motorcycles and cars will be on display. Frommer’s Travel Guide calls this auto show “one of the 300 unmissable events in the world.” Do visit to see what the ever-changing theme will be for 2016. 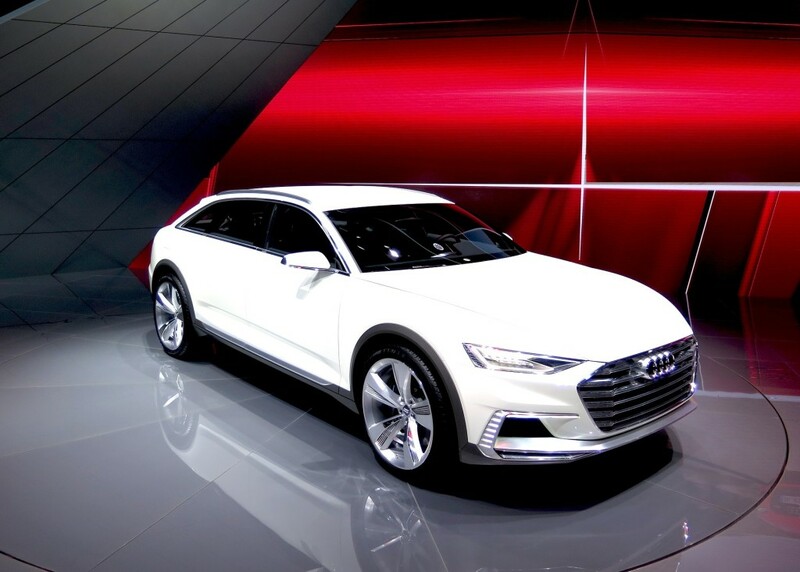 Established in 1900, the New York International Auto Show is one of the oldest car shows in the world. You can check out 1,000 brand new trucks and cars across four floors, including “the newest vehicles and the latest futuristic concept cars.” Get to New York between March 25 and April 3. Beach town Kiawah Island, which hosted the PGA Championships in 2012, is the home of the Kiawah Island Motoring Retreat. On the weekend of April 15, venture to the Ocean Course to see “world-class concours cars in a judged event and several other activities designed to thrill car enthusiasts and celebrate the Lowcountry.” With race cars and vintage vehicles on display, this isn’t your average auto show. The Auto China show only happens on a two-year basis. If you can get to the China International Exhibition Centre in Beijing from April 25 through May 4, it’s worth visiting. There will be a large roster of vehicles and parts to see, including commercial cars, car accessories, energy-efficient vehicles, new car technology, safety testing equipment and car design systems. The Zagreb Auto Show at the Zagreb Fair takes place April 6–10. This is quite a big show, boasting 14 pavilions of vehicles. With karts, motorcycles and trucks, no matter your favorite type of vehicle, it’s represented here. You can even win a Volkswagen Up. Bring the whole family to the Austin Auto Show April 8–10. There will be a bounce house, balloon animals, costumed characters, face-painting and even a Batmobile for kids. Adults will appreciate the opportunity to test drive Mazdas, Dodges, Fords and more while viewing the newest models of practically every car you can think of. Since 2005, the AltCar Expo in Santa Monica has introduced curious car lovers to the world of sustainable driving. Last year, the event celebrated its 10th anniversary. While you can see plenty of energy-saving smart cars, there will also be speakers on hand who will discuss the environmental benefits of using alternative fuel sources. This year’s expo will be at the Santa Monica Civic Auditorium on September 16–17. Over in LA, the Los Angeles Auto Show is quite a spectacle. You can test drive new models and see brand new cars unveiled for the first time and. This is one of the most anticipated shows of the year, so make sure to get to the Los Angeles Convention Center on November 18–27. With new SUVs, trucks, cars and more, the Memphis Cook Convention Center is the place to be on October 28-30 for the Memphis International Auto Show. Just a few manufacturers with brand new models that you can expect to see are Buick, Nissan, Lexus, GMC, Acura, Kia and Audi. Parking is free, so you can spend your extra cash on snacks and merch. In its 19th year, Kenya’s Autoexpo Africa has more than just cars. You can also buy car parts if you’re into modifying, restoring or repairing your own vehicles. The event is sponsored by Expogroup, a company that was founded in 1996 and serves such parts of the world as India, Latin America, Australia, Africa and more. The show runs from June 10–12. The Philippine Trade Training Center and the World Trade Center Metro Manila in Pasay City will host the 11th Manila International Auto Show on April 9–12. These buildings have more than 30,000 square feet of outdoor and indoor space between them that will include exhibitions from top vehicle manufacturers. With stunt shows and safety seminars, you’ll want to stick around all day. The beautiful Ault Park in Cincinnati was founded in 1978 and has been used for art shows and health awareness events. It’s also the site of the Ault Park Concours d’Elegance, where cars are divided by classes for easy viewing. You can find antiques produced before 1924, pre-war classics, sports classics produced through 1959 and even future classics made 2000 and later. With competitions, a 100 Years of BMW exhibit and a variety of Ferraris on display, the event runs from June 10–12. 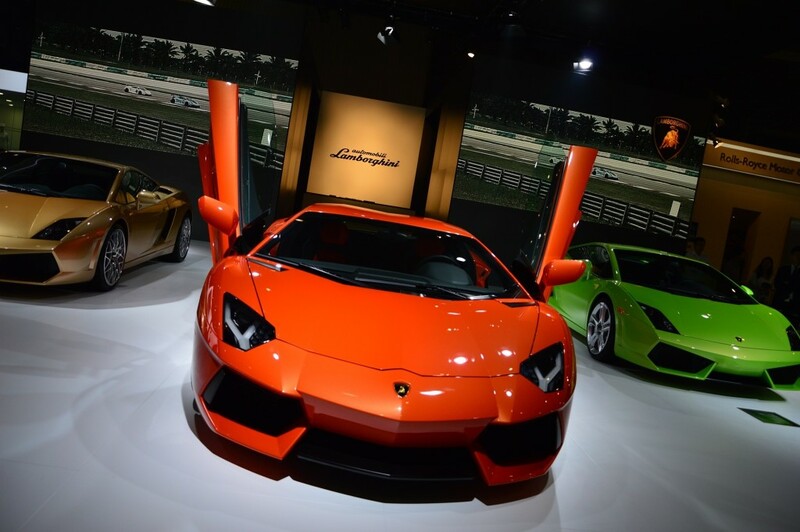 Between August 24 and September 4, you can catch the Moscow International Automobile Salon. Organized by the Nonprofit Partnership Crocus Expo International Exhibition Centre and the Association of Russian Automakers, this expo takes place every other year, so see the hottest rides here while you still can. Whether you prefer everyday vehicles such as Jeeps, Kias and Scions, or you gravitate toward luxurious automakers such as Lamborghini, Ferrari, Rolls Royce and Bentley, you will find many cars for your viewing pleasure at the Sacramento International Auto Show. There will be special attractions at the Cal Expo on October 14–16, including a kids zone, classic cars, an auto museum, test drive zones and old motorcycles. Another auto show to check out is the Kyiv International Motor Show. In its 12th year, this expo focuses on commercial vehicles and trucks. The event takes place at the International Exhibition Center on October 26–28. Here’s your chance to get a better look at Ukrainian passenger vehicles, specialized cars, cargo vehicles and more. 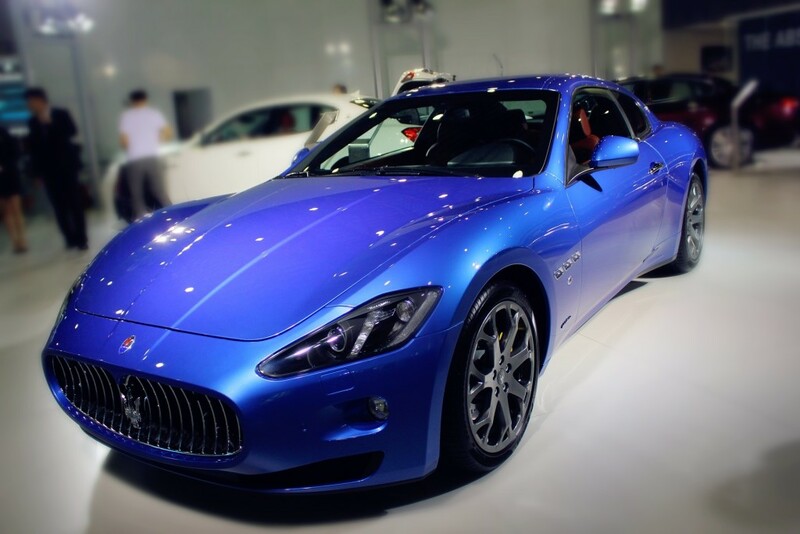 As the home of Maserati, Ferrari, Lamborghini and more, Italy is a major player when it comes to luxury cars. The Motor Show Bologna (December 4–13) is your exclusive chance to see these and other carmakers. The event organizers call this show “a six-sense digital experience” because the event features live entertainment, digital platforms, multimedia, virtual reality booths, test drives and more. If you love all things motorsports, delve into the long history of racing by taking a trip to any of these museums dedicated to roaring engines and cheering crowds. You can see vintage and beloved cars up close while discovering more about worldwide racetracks and organizations. We’ve found 25 international motorsports museums that will make you want to plan a road trip, stat. Racer George Barber opened the Barber Motorsports Museum in 1988. Although he preferred Porsches, that museum had already been done, so he decided to open a motorcycle museum instead. At least 650 motorcycles, some vintage and some modern, are on display. The bikes are regularly switched out so you can eventually see Barber’s whole collection of 1,400 bikes. A group of motorsports fans called the Williams Grove Old Timers would spend a lot of time together talking shop, so in 1975 they decided to take their collective passion and make a museum dedicated to racing. The Eastern Museum of Motor Racing has 40 acres of space that includes a racetrack. Sometimes, you can even see the display cars being driven. In the village of Beaulieu, you can find the National Motor Museum, which mixes motorcycles with other vehicles on display. Some exhibits that you may see include World War I cars, a chronology of the British Land Speed record, an auto garage from the 1930s, the history of the Formula One and more. More than 250 cars and other vehicles comprise these displays. The Macau Grand Prix is a beloved racing event. For the race’s 40th anniversary in 1993, the Grand Prix Museum became a public attraction. Celebrating a motorsports history that dates back to 1954, the museum has since undergone renovations to celebrate later anniversaries. Daytona Beach is a famed racing destination, but beyond the track you can also find the Motorsports Hall of Fame of America. No matter what kind of racing you enjoy, nearly 50 vehicles are on display at any given time. You can also check out about 100 exhibits chock full of memorabilia. Play driving simulation games and watch videos highlighting the history of racing to close out your day. A museum established in honor of the 24 Hours of Le Mans event, the Musee des 24 Heures du Mans was actually called the Automobile Museo de la Sarthe when it was built in 1961. It wasn’t until 1991 that it changed focus to the Le Mans race. When you visit, you can see car pictures and videos, race collectibles, and more than 100 vehicles that have participated in Le Mans races over the years. Wally Parks himself opened the NHRA Motorsports Museum in association with the Automobile Club of Southern California. Since 1998, race lovers have been able to stroll across 28,500 square feet of motorsports history. There’s a “Chrisman, Brinker Gallery of Speed” exhibit that opened in 2014 and also artwork, driving uniforms, helmets, race trophies, and almost 50 vehicles from various generations. Another major racing city is Charlotte, North Carolina, which is home to the Hendrick Motorsports Museum & Team Store. NASCAR fans should not miss this one, as you can learn more about the NASCAR Sprint Cup Series, discovering the technology and thinking that makes these races possible. The museum is free to visit. Another famous European motorsports museum, the Spa-Francorchamps Racetrack Museum celebrates Belgium’s rich racing history. You can see beloved vehicles such as Coopers, Porsches, Chevrons, Marches and Ferraris across the ages. As you walk through the museum’s cellar, you’ll feel like you took a step back through time when you look at documents and other old memorabilia. Whether you know him as the “King of the Dragsters” or “Big Daddy,” Don Garlits is one of the most popular drag racers in the history of the sport. The Don Garlits Museum of Drag Racing is his creation, and it includes 17 of his own World Championship titles and a slew of classic cars from the beginning of Garlits’ racing career in the 1950s to his retirement. You can keep yourself entertained all day when visiting the Arizona Open Wheel Racing Museum, which shares a building with the Motorsports Hall of Fame. Steve Stroud opened the museum after customers at his Phoenix Parker Store would inquire about his memorabilia. 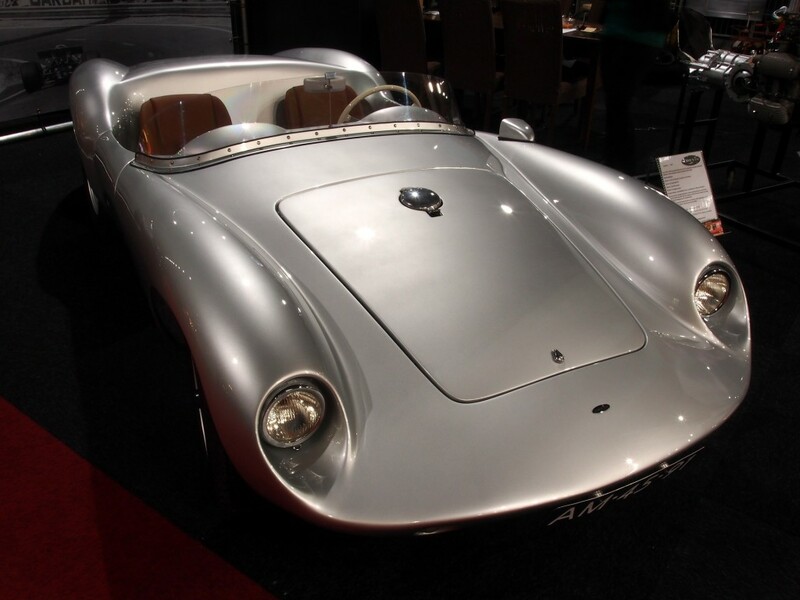 With 16,000 square feet of space, there’s plenty of room for exhibits featuring cars from the Phoenix International Speedway, the Copper World Classic and more. Richard Childress Racing has won 15 championships in nearly 50 years. 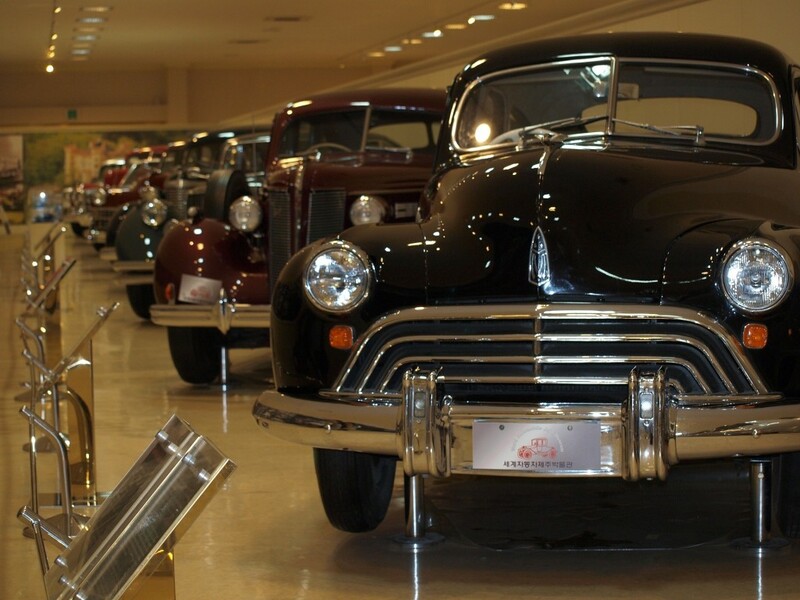 Celebrate that heritage at the RCR Museum, which is 47,000 square feet. Any vehicle that Childress or his team drove is on display, including the Monte Carlo that won the 1998 Daytona 500, All Star vehicles driven by Dale Earnhardt between 1995 and 2000, Earnhardt’s No. 3 Goodwrench Chevrolet, and more. Heavily featuring cars and memorabilia from Bill Elliott, Dale Earnhardt, Bob Glidden, Don Nicholson and other racing legends, the Hajek Motorsports Museum was founded by racer Brent Hajek. The museum is a repurposed school that includes the Hajek Motorsports Racing Car Collection. Don’t miss other gear from the likes of Dale Earnhardt, Jr., Joe Amato, Dale Jarrett, Kenny Bernstein and more. The Indianapolis Motor Speedway is yet another revered US destination for motorsports fanatics. If you’re here to see a race, make sure to book some time for a trip to the Indianapolis Motor Speedway Hall of Fame Museum. Founded in 1956 by Karl Kizer and Anton Hulman Jr., the museum expanded in 1975 and is now 30,000 square feet. The Hall of Fame is still active, while the museum itself features vehicles of all kinds, including drag racers, motorcycles, midget cars, NASCARs and INDYCARs. The Hockenheimring track Baden-Wurttemberg hosts the German Grand Prix. 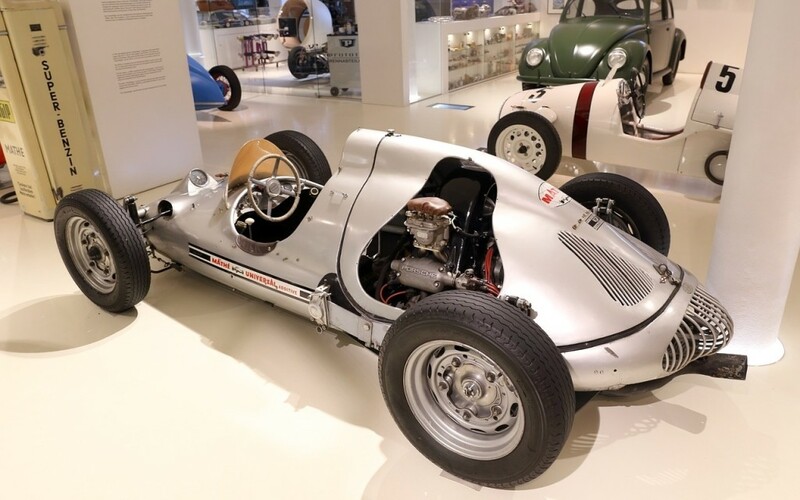 Nearby is the Hockenheimring Motor-Sport-Museum, which was founded in 1986 and has more than 300 exhibits showcasing touring cars, bikes and Formula 1 winners. 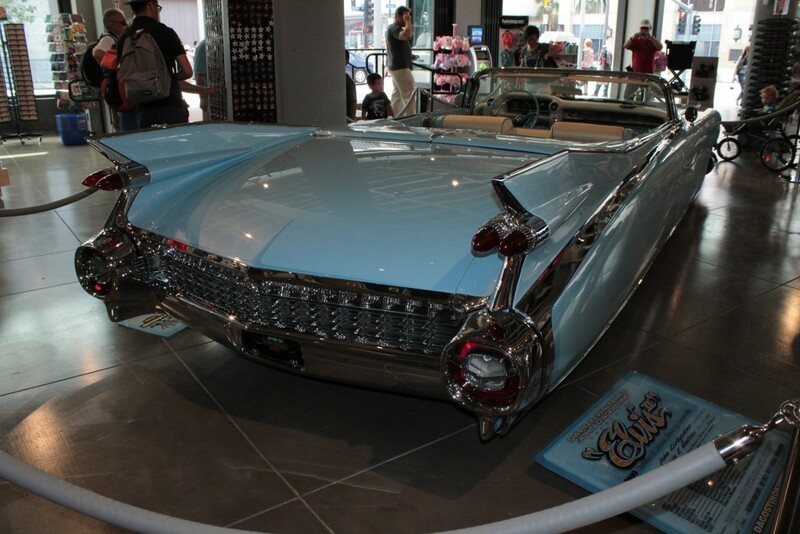 With 23,680 square feet of space, the cars that you see in the exhibits are switched out regularly. Guided tours are available. 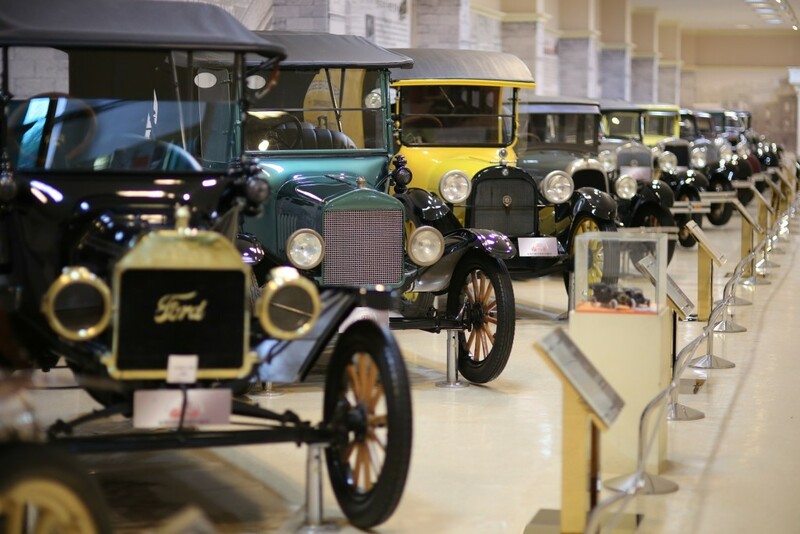 If you’re ever traveling in Brazil, particularly Passo Fundo, don’t miss the Museu do Automobilismo Brasileiro, which translates to the Museum of Brazilian Auto Racing. The Prix Hotel, erected in 2012, is nearby. The museum opened in 1996 but expanded in later years. Learn more about the history of Brazilian auto racing with more than 100 cars produced in various eras. A nonprofit, the World of Speed Museum encompasses all racing, including hydroplanes, NASCAR, open wheels, motorcycles, land speed racing and drag racing. Any time you visit, you can see nearly 100 cars in changing exhibits, including the 1979 Oldsmobile 442 driven by Cale Yarborough, the 1988 Chevy Monte Carlo driven by Terry Labonte, the 1974 Dodge Charger driven by Jim Vandiver, the 2000 Chevy Impala driven by Dale Earnhardt, Jr. and more. The Museo Ferrari in Maranello is a Mecca for many and a testament to the history of this luxury car manufacturer. Test your own sharp driving instincts with interactive pit stop walls at the World Championship and Formula One exhibits. Other exhibits are changed out often, so no two experiences are alike. Watch clips of Grand Prix races through the years, take souvenir photos and drive in a Formula One virtual simulator while you check out some seriously impressive vehicles. Dig deep into New England racing history at the NEAR Mobile Hall of Fame Museum. This nonprofit relies on work from volunteer car lovers and donations from Connecticut patrons to keep running. Unlike the other museums on this list, this NEAR establishment is mobile and travels with the organization. You’ll have to check the NEAR calendar to see when the museum is coming to a town near you. The Museo Juan Manuel Fangio honors Argentinian racing great Juan Manuel Fangio and is just a short stroll from his childhood home. A Formula One champion five times over, Fangio’s prizes are all on display, as are the 27 vehicles that he raced to achieve victory, like his 1939 Chevrolet and 1929 Ford A. Cars that belonged to other popular racers, including Edward House and Juan Galvez, are also proudly shown off. Expand your horizons as you take in the thrill of Australian motorsports at the National Motor Racing Museum. The Bathurst Light Car Club opened the museum in 1988, and the Bathurst Regional Council became owners in 1997. With 60 motorcycles and 50 cars on the museum’s grounds, it’s a good thing the building is open seven days a week. Housed inside the Comfort Inn & Suites in Tooele, Utah, is the Miller Motorsports Park Museum. Created by car fanatic Larry H. Miller, the museum began as a place for Miller to teach others about Carroll Shelby’s Cobra. His collection grew to include Shelby Mustangs, Ford GT40s and more. Some of his vehicles have competed in races, like the 1966 MKII Ford GT40, the 1964 Cobra Daytona Coupe and more. Can’t get enough of sprint cars? The National Sprint Car Hall of Fame & Museum in Knoxville, Iowa, should be your next road trip destination. This nonprofit was established in 1992 and has four stories. The 8,000-square-foot Donald Lamberti National Sprint Car Museum is on the first floor. With 25 vehicles plus various memorabilia such as helmets and trophies, there’s a lot to take in. Immerse yourself in all things NASCAR at the NASCAR Hall of Fame in Charlotte. When you walk in, there’s a huge video screen with a looping video introducing you to the history of this racing giant. The exhibits change during any given month, but some permanent fixtures include race memorabilia such as drivers’ uniforms, photos and original vehicles. You can learn what it’s like to be in a real NASCAR race with a virtual simulator. After you practice, climb into a NASCAR replica vehicle on a recreated track to digitally compete with others. Cars, bikes, racing — these aren’t men’s worlds anymore. We’ve already written about some great women’s motorcycle clubs (twice, in fact), but now let’s shine a spotlight on some women’s car clubs and racing organizations. Ours is a world full of female gearheads and great female racers. These 25 groups below are proof of that. Erica Ortiz, a drag racer and the founder of Horsepower & Heels, liked racing with the men, but she wanted the respect that they so effortlessly received. So, she decided to band with other women and start her own racing organization. Together with photographer Eddie Maloney and contributors Taylor Hyatt and Kelly Morris, the team at Horsepower & Heels promote women’s racing. Ortiz still races and is a multi-time champion. Women in Motorsports, Inc. supports female racers with professional aspirations. You can link up with other racers and learn more about training, bike parts, equipment and more. If you want to become a data technician, suspension technician, chassis mechanic, crew chief or work in a similar field, this group has the connections to help you get there. As a worldwide motorsports group, the Federation Internationale de L’Automobile (FIA) also happens to have its own branch devoted to women’s racers called FIA Women in Motorsport. Founded in 2009, the group “aims to create a sports culture which facilitates and values the full participation of women in all aspects of motor sport.” Former rally driver Michele Mouton is the group’s president. WAM is the fusion of two NASCAR organizations, the Busch Series Ladies Association and the Winston Cup Racing Wives Auxiliary. Established in 2004, the group is involved in North Carolina charities such as Royal Oaks Elementary, Jeffrey’s Toy Closet (which gives to people affected by disasters and sick children) and Mooresville Soup Kitchen. Car Chix is a motorsports organization for women that promotes and advertises women in all aspects of racing at any skill level. Jeanette DesJardins established the group in 2010. Make sure not to miss the Drag Racing for Life Breast Cancer Fundraiser, which the Car Chix have hosted since their formation. People have donated more than $50,000 since the event’s inception. The women support other charities, including those for multiple sclerosis, children’s health and more. As “the first racing team driven by women,” the team at Grace Autosport in Atlanta does more than just drive. Off the track, they “promote and inspire young women to pursue their dreams within the field of science, technology, engineering and math (STEM).” You can pick up some cool T-shirts, hoodies, hats or rubber bracelets to show your support. Mary Wheeler founded the BWRDC back in 1962, making it one of the oldest women’s motorsports organizations around. Members participate in races of all kinds, including karting and rallying; some even join championship races. As long as you have a National or International A MSA license, you’re welcome to become a full club member. Founded in 1995, the Chassis Lassies was formed from original members of the Colorado Camaro Club, another all-women organization. The members typically spend their time participating in parades and cruises and attending car shows. Their big annual event is the Weekend Mystery Trip, a yearly staple on the Chassis Lassies’ calendar. In the Buckhead neighborhood of Atlanta, the women of Diesel Dolls are proving that they rule the roost. This newer group, established in 2013, lives by the slogan of “beautiful women and beautiful diesels.” They’re always welcoming interested new members who love racing and giving back to their community. If you have a car from before 1969, you’re welcome in the Lady Luck CC. This group is led by its president, Betty, who owns a 1949 Kaiser Traveler. If you can’t attend any of the group’s drives, you can always check out the Lady Luck Car Care merchandize on its website; all items are environmentally friendly. Another group that prefers older cars is the Octane Angels Car Club. This Southern California group writes, “We love our cars, family and our friends.” If you have your own classic car, bring it around and join the club. At TBSS Ladies, it’s go big or go home. These women drive trucks instead of cars and call themselves “the most badass truck driving women out there!” This relatively new group is gaining members all the time. With branches also in Seattle and Los Angeles, Hell’s Belles Car Club originated in San Francisco, where founders Andrea “Crafty” DeHart and Mary Mack decided to start an organization for women who are passionate about classic cars. “The founders reckoned it was pretty special for a gal to own a classic car, but a testament of true love to own a sled in San Francisco,” they explain. As members relocated, other branches were founded that still exist today. Yet another club for classic car lovers, Spokane, Washington’s Miss Shifters is for women whos rides are pre-1979. The group hosts monthly meetings where you can learn more about the organization’s objectives and planned activities. You can also pick up some Miss Shifters merch on the group’s website. A few women enrolled in the automotive program at Skyline College in San Bruno, California, decided to start their own organization in 2010. They called it the Heart Wrenchers Auto Club. Even though the members are still full-time students, they have developed a mentor program at area high schools and host fundraisers and other events. Velo Girls have members of all ages that gather from Half Moon Bay to Mendocino to Morgan Hill and beyond. Established in 2002, this group was awarded the Club of the Year title by USA Cycling in 2003, 2004, 2006 and 2008. Riders enjoy cruising on cyclocrossers, mountain bikes and more. In 2007, Sabra and Lea Davison started Little Bellas, an organization in Jericho, Vermont, that teaches young girls ages 7 to 16 years old how to ride mountain bikes and eat healthily. The organization has become so popular that it’s grown beyond Vermont to other chapters across the country. Girls can join day camps or enroll in summer programs. You don’t necessarily have to ride to be a part of WCA; as long as you care about women riders, you’re welcome here. 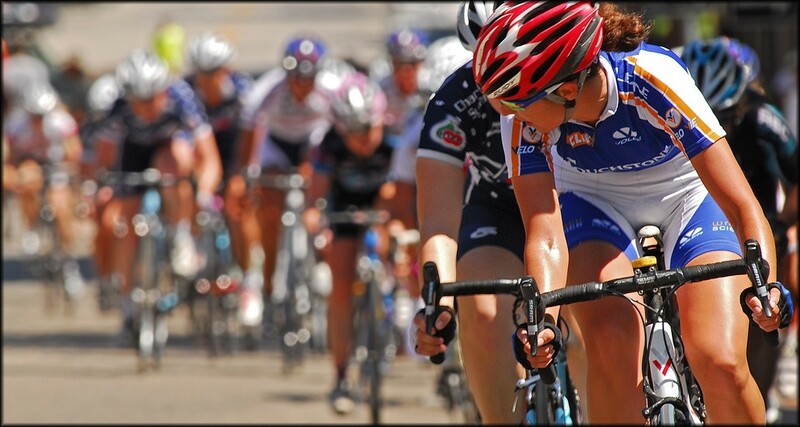 “The WCA seeks to unify and represent women cyclists and advocate on their behalf; to sporting governing bodies, race organizers, and team management…the WCA will work towards meeting our platform goals by lobbying for equal rights for women cyclists, reviewing existing policies and advocating for changes, and networking with grassroots programs that provide support and guidance to cyclists,” the organization says. Amy Alison Dombroski was a professional cyclist and U23 National Championship winner before her life was sadly cut short. The Amy D. Foundation was established to memorialize her. This Colorado nonprofit supports the development of female cyclists by providing equipment and mentoring to up-and-coming competitive athletes, and working with Little Bellas to inspire young riders. Established in 2007, PA Women’s Cycling seeks to unite women riders in the state and inform them about events in their area. No matter where you live in Pennsylvania, this group only communicates digitally, so you’re never too far away. Some of the teams that are part of this organization include Alliance Environmental in Southeastern, Bikeline/LWA in Lehigh Valley and CCV/Iron Hill in Chester County. Established in 2006, the group became a nonprofit several years later. The Global Solidarity Ride, in association with JustGiving, takes place in multiple countries. The organization also has an Afghan Cycling Program, which lets women cyclists ride in Afghanistan (Mountain2Mountain’s riders were the first to do so) to promote gender equality. In Canada, nonprofit Bikefit Sunflowers host bike events between May and September, going out weekly. Your skill level shouldn’t deter you from putting on your helmet and getting out there, especially considering the group always has a ride leader who has cycled for years and can help those who are less experienced. Riders are divided into two groups: the Sport Rider is more athletic and skilled while the Recreational Rider is in it for fun and to learn more. 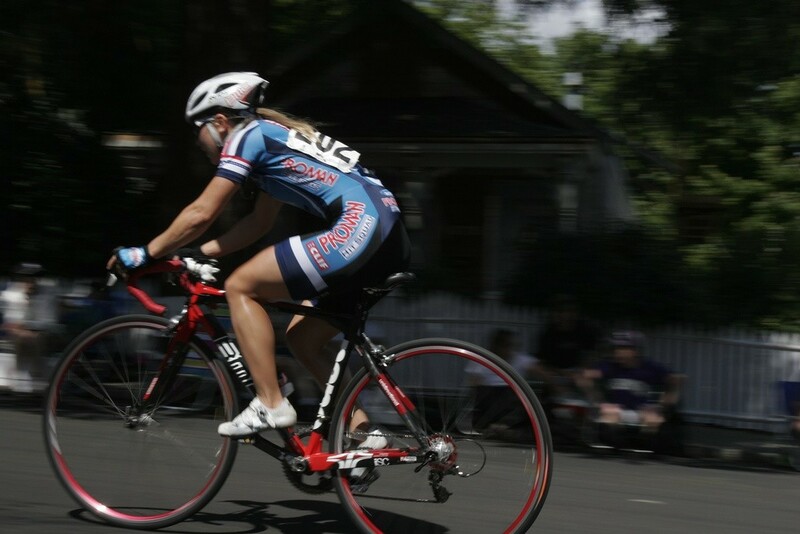 Wisconsin Women’s Cycling welcomes any woman in the state with a bicycle. Just be prepared to ride almost any time of year because the members of this group are known to bike in both the winter coldness and summer heat. In July 2016, the group will hold its annual Wisconsin Bike Festival and Women’s Century Ride Supporting the Wisconsin Women’s Fund in Cedarburg, which is known for its picturesque riding paths. With chapters across the US, Black Girls Do Ride’s mission statement is to prove just that. If you find that there are no chapters near you, the group encourages you to start one. You only need a lead rider (known as a “Shero” in this club), and then you can set up a Facebook page and events for your chapter. 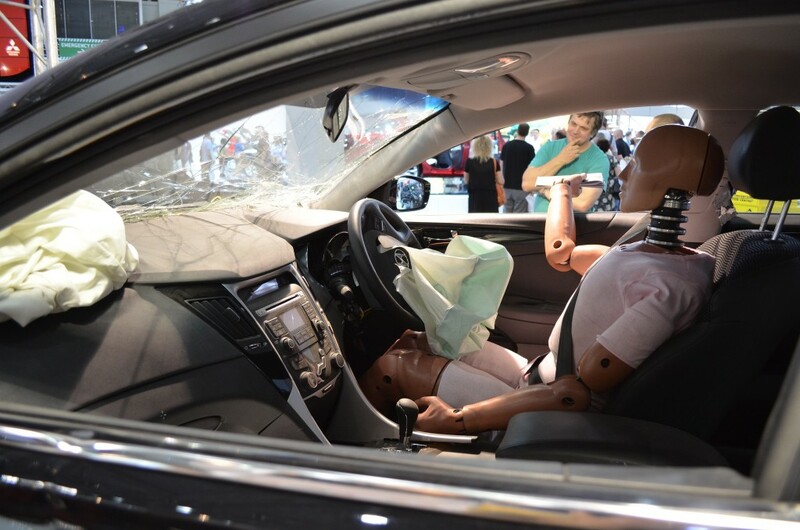 Car manufacturers have evolved their safety measures as new technology is introduced. 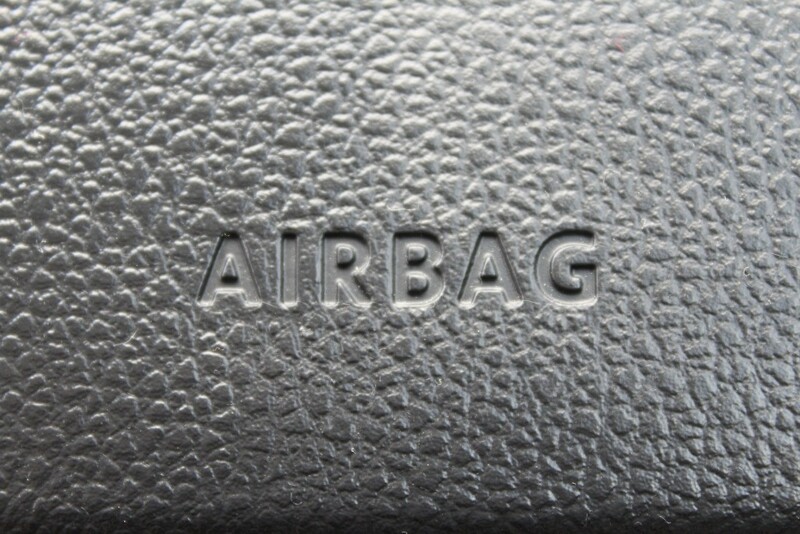 While airbags are a given, many newer vehicles come with high-tech safety features such as auto-braking, forward collision detection, blind-spot warnings, parking assistance, backup sensors, and front and rear cameras, as Mark Vallet writes at Insurance.com. Even with this new technology and more always on the horizon, companies exist that extensively test cars for their safety, doing crash tests and influencing safety ratings. These companies work to ensure that all cars sold are reliable and ready to hit the road. Here are 40 of those companies, each working to improve the safety of the vehicles we all rely on. While the crash test dummy is a common tool for testing for vehicular safety now, Humanetics was the first company to check ejection seats in spacecraft and aircraft with the dummies back in the 1950s. These dummies were so popular that companies began using them to test cars. Responsible for the Hybrid I, Hybrid II and Hybrid III crash test dummies, Humanetics absorbed European dummy manufacturer TNO Automotive in the late 1990s. With an annual promise to preserve the lives of 30,000 drivers and passengers, Autoliv has produced safety equipment for more than 60 years. Some of these products include child restraints, night vision systems, airbags, dynamic spotlights, radar systems and more. The company does its safety testing in the United States, China, Sweden, Japan, Germany, France and other countries on various tracks. 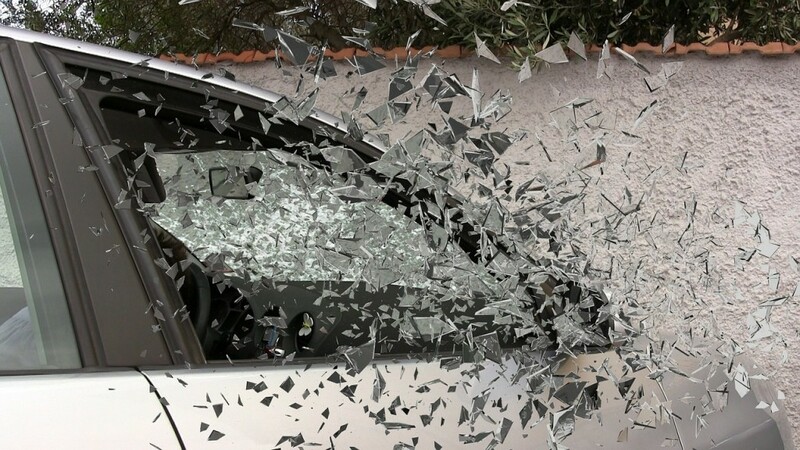 Billy Walkowiak of Collision Safety Experts offers more than just vehicular repairs post-accident. He and his team of car inspectors will test the vehicle to make sure it’s ready to get back on the road. He reviews the parts used, driving specifications by car manufacturer and more to make an honest assessment. If the car needs more work, Walkowiak and his team will take care of it. The NHTSA has a Vehicle Crash Test Database that includes the results of crash tests according to a car’s year, make and model. The organization also produces reports and data like the Fatality Analysis Reporting System, traffic records, state data programs, Special Crash Investigations, the National Driver Register and the National Automotive Sampling System. For more than 30 years, IAV has worked with auto manufacturers to produce vehicular software, alternative drive systems, combustion engines and more. 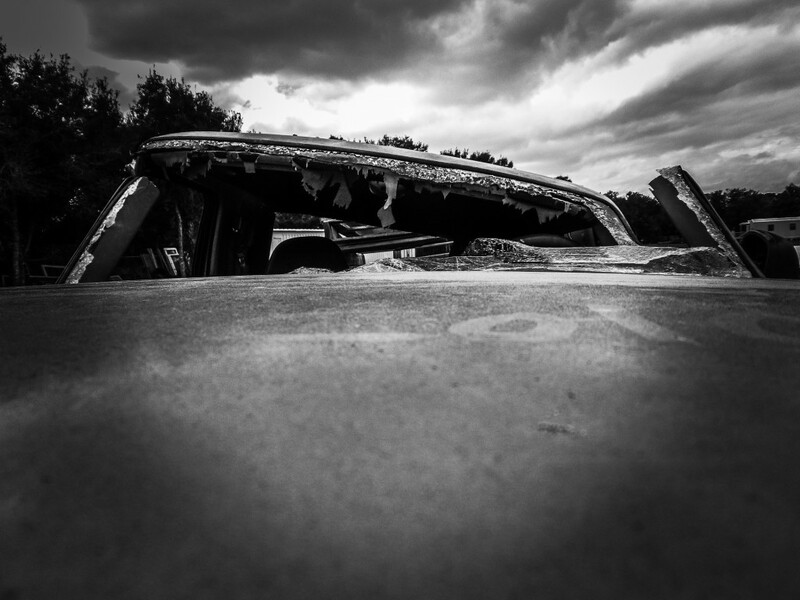 The company does crash tests in Gifhorn, Germany, on a 427-foot track, including pole crash tests, side crash tests, and rear-end and head-on collision tests. Euro NCAP does warn that ratings can change and that you should always use the most recent star rating for any particular car. Producing driver assistance systems, Mobileye is especially known for the EyeQ chip, which can “perform detailed interpretations of the visual field in order to anticipate possible collisions with other licensed vehicles, pedestrians, animals, debris and other obstacles.” This chip can quickly scan traffic lights, traffic signs, barriers, boundaries and more to alert you of potential dangers. ZF Friedrichshafen AG and TRW Automotive merged into ZF TRW, which combines the expertise of those two companies. This company, with its headquarters now just outside Detroit, has buildings worldwide with 13 test tracks and 22 technical centers, focusing on areas such as occupant safety, braking, steering, vehicle electronics and more. Once a seat belt manufacturer, Takata has since expanded its product line to include child restraint systems and steering wheel systems. Evolving the seat belt even further, Takata has a motorized version that includes servo-motors that can pull tighter to prevent a motorist from being ejected during an accident. With 900 employees who specialize in nearly 100 scientific areas and work in 25 offices worldwide, Exponent is a good choice for consulting. Its engineers have a Test and Engineering Center where each month they test nearly 30 cars. These engineers perform sled tests and rollover tests; sled tests can determine the safety of cars and even aircraft while rollover tests determine how cars react to lateral slides. In Spain, CTAG works “to provide automotive companies with an efficient service to meet their present and future needs.” The company has paired with global organizations such as IDIADA Automotive Technology to expand its crash testing and safety services. Honeycomb core is Plascore’s specialty; these cores can be customized to a customer’s needs. The company has formed a partnership with Euro NCAP to produce barriers that can be used during crash tests. Most of these can be compressed and adjust back to their natural shape after use. Some are intended for side impact tests and others for front impact tests. 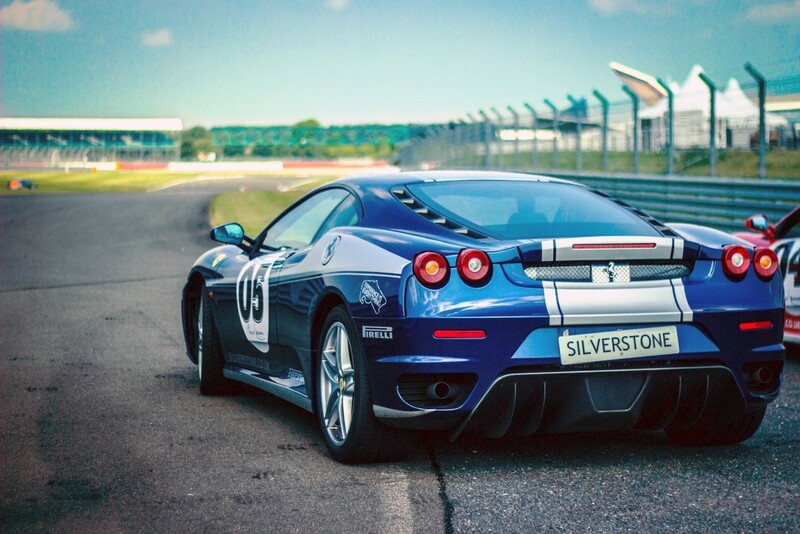 Working with major brands in motorsports, automotive and aerospace, Calspan offers testing and engineering services. The company, which has been in business for more than 70 years, works closely with the NHTSA. Its test laboratory determines a car’s crash avoidance rating and its passive safety rating (“when a crash is inevitable and the automobile’s structure and restraint systems are called upon to protect occupants from injury”). Developed by George Washington University, the NHTSA and the Federal Highway Administration, NCAC uses computer simulation tools to digitally predict crash test results. The organization has several laboratories, including a high-performance computing lab and a vehicle modeling lab. A high-speed imaging company that produces cameras, AOS Technologies AG also has its own crash test facility where those cameras are put to use. Combining fiber optic connections and board crash test equipment with the cameras allows vehicle manufacturers to review all aspects of a crash test, even those that are over in the blink of an eye. Receiving the 2015 Crash Test Facility of the Year title at the Automotive Testing Technology Invitational Awards, Messring in Krailling, Germany, is a highly-rated producer of crash test parts. The company sells rollover equipment; attachments; and block systems for use as barriers, moving barriers, control components, MicroTrack rails, propulsion equipment, AEB testing equipment, decelerators and accelerators. Research and development nonprofit SwRI in San Antonio has nearly 3,000 employees who apply their scientific and engineering knowledge toward mechanical engineering and automotive engineering. The facility does vehicle crash tests using devices such as channelizers, work zone attenuation, support structures, crash cushions, terminals and longitudinal barriers. Engineering company TASS International has been in business for more than 30 years but has recently turned its attention to greener measures, attempting to reduce nitrogen oxide and carbon dioxide emissions. The company’s Safety Center can test vehicles weighing up to 22 tons, including large trucks and buses. The Safety Center also offers aircraft testing, safety barrier testing, sign post testing, pedestrian head-impact testing and whiplash testing. Some of the products from RDP Corporation that these companies have used include crash barrier facilities, crash simulation systems, high-speed photography lighting and automotive crash test sensors. Penn State College of Engineering’s Thomas D. Larson Pennsylvania Transportation Institute has its own Crash Safety Research Facility at the LTI Test Track Facility. “A focal point for research pertaining to vehicle accidents, the facility provides researchers with the means to examine crash-related injuries and occupant safety issues; vehicle and highway apparatus design, testing, and analysis; and crash-related data and literature,” the Institute writes. KARCO Engineering works to improve the safety of motor vehicles for drivers and passengers. Cars are inspected for durability, handling, braking, support structures, crash cushions and accident reconstruction. The engineers at this company routinely perform rollover testing, pole-impact testing, front-impact testing and more. New York’s MGA Research Corporation has multiple testing facilities that it sometimes commissions to other companies as needed. The vehicle crash facility tests car safety, the accelerator sled facility (which has been in operation for more than 20 years) tests safety equipment in action, and the strong floor facility base is the home of laboratory experiments. This floor has T-slots that are adjustable for various projects. In East Liberty, Ohio, TRC has a facility for durability testing. Its building boasts 4,500 acres of space that house an eight-mile gravel hill course, a 50-acre vehicle dynamics facility and a 7.5-mile high-speed test track. The company also offers brake testing, heavy-duty vehicle testing, fuel economy testing, corrosion testing, bus and RV testing, mileage accumulation data and fuel additive data. IMMI has expanded from Westfield, Indiana, with facilities across the world in China, Italy, the United Kingdom, Mexico and Slovakia. The company, established in 1961, calls its Center for Advanced Product Evaluation (CAPE) “the only crash test facility of its kind in the world” because of its large barrier blocks. While cars are often tested here, so too are ambulances, fire trucks, commercial trucks, buses, motor coaches and military vehicles. With full crash facilities in Shanghai; Miami and Madrid, ARIES Test Systems and Instrumentation has received Automotive Testing Technology International’s Crash Test Facility of the Year award in the past decade. The company uses double propulsion systems, including hydraulic and electric systems, to more precisely gauge impacts at certain speeds. The hydraulic propulsion cuts back on energy costs from using too much electricity and has closed loop control and valves. Electric propulsion uses Speed-Pro_FC software and direct torque control for fast testing. In the Bedford, UK, area, Millbrook Proving Ground calls itself “one of Europe’s leading independent technology centers for the design, engineering, testing and development of automotive and propulsion systems, and a pioneer of low carbon technologies.” The company offers safety systems, sleds and full-scale crash tests. A 3D dimensional measurement company, Accurex offers optical metrology systems for crash testing. These can capture the test from all angles since they use various cameras. Some of the company’s other services include motion head testing, crash dummy positioning and crash deformation analyses. In association with the Ministry of Heavy Industries & Public Enterprises in India, ARAI’s passive safety laboratory tests commercial vehicles, side door intrusions, airbag deployments, seat belt dependability, vehicle rear impact, steering impact and more. There’s even a low-speed crash testing facility. With goals of embracing renewable energy, promoting better energy efficiency and being more sustainable overall, TÜV SÜD America offers training, knowledge services, system certifications, auditing, inspections and testing. The company is responsible for the Munich CRASHTEST facility, which was founded in 1996. Annually, more than 1,000 vehicles pass through. Joseph J. Jacobs, the namesake of the Jacobs Engineering Group, started his company in 1947. Today, the company develops crash test facilities. The design of these facilities starts with a virtual simulation before any work begins. Jacobs Engineering also offers maintenance services for pre-existing testing facilities. PMG Technologies works with Transport Canada and the Canadian Ministry of Transport to keep Canadian motorists and passengers safer. The company has test tracks (with dynamic tests that measure sound levels, fuel consumption, durability, and braking), environmental chambers, vehicle test structures (which use hydraulic controllers) and a crash area (which tests for side impact and front impact for one or two cars at a time). Dutch company ADAC Technology Centre tests car parts, tires and child safety equipment. ADAC also publishes accident research and data. This crash test facility has received Euro NCAP accreditation. As a test resource for retail, trade and government, healthcare, food, energy, engineering, construction, chemicals and transportation fields (including railways, marine vehicles, automotive and aerospace), Intertek has nearly 150 years of experience. Automotive engineers perform battery testing, thermal shocks, altitude simulation, noise measurements and environmental exposure. A “global designer and manufacturer of sensors and sensor-based systems offering custom designs for OEM applications,” Measurement Specialties also offers automotive safety testing. Choose from pedestrian safety testing, sled testing, on-vehicle testing (which detects functionality of position sensors, force sensors and accelerometers) and in-dummy testing. In Australia, the APV Tech Center, once known as the Autoliv Test Facility, was renamed in 2011, but with the facility’s past, this building has been used for automotive testing for nearly 50 years. It’s 230-foot test track allows cars to accelerate to nearly 50 miles per hour. Digital video cameras capture footage of the test. Since 1932, the Allianz Center for Technology in Germany has provided technical training, posted car accident research and repair research, provided information on road safety, and performed crash tests. 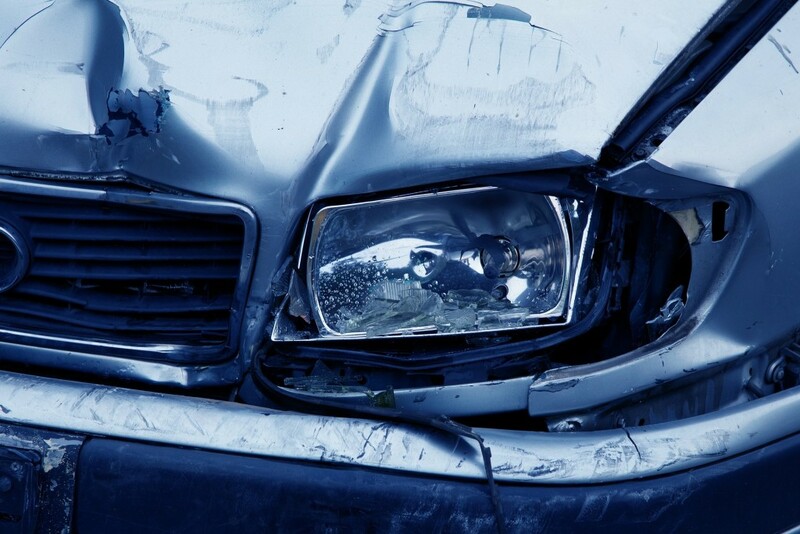 The facility doesn’t test for severe accident damage, but rather smaller crashes. However, Allianz can determine how much it would cost to fix the car. The weather’s frosty, the ice is thick and while most people just want to stay inside as much as possible it’s prime season for winter motorsports athletes. Across the world, these inventive racers have hopped on almost anything on two or four wheels and taken it for a spin across the ice and snow. We’ve found 25 winter motorsports groups and organizations dedicated to ice karting, snowmobile racing and ice driving that prove that racing has no off-season. In icy Finland is Ruka Adventures, a rental agency that is your guide to the outdoors in winter or summer. While there’s ice fishing, snowshoeing, husky- and reindeer-sledding and snowmobile safaris, few activities are comparable in terms of heart-pounding thrills as ice karting. 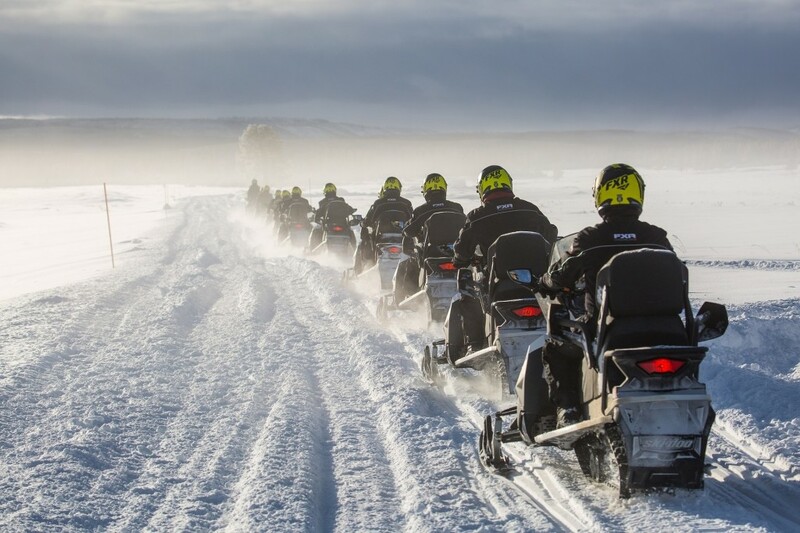 The organization reminds you that “technical skill beats speed.” And if that snowmobile safari sounds too good to pass up, you can opt for a package that bundles a short safari with a race on the ice. Colorado’s Aspen Ice Karting invites you to “get sideways” in the snow. All karts are CRG USA brand with Kold Kutter screws and Heidenau tires designed for slippery ice riding. If you happen to own your own kart, you can get it fitted with these screws and tires and then go racing. As AccessLapland way up in Rovaniemi proves, Finland truly embraces its below-freezing temperatures. Go for the gold in an open race on a 1,800-foot track where you can compete with anyone. Bring your friends and family (up to 10 people) for a private race where there’s no one on the ice but your group. Staff will take video and images of your race, and snacks are even included. A frosty ski resort in France, Val Thorens has been declared the best ski resort in Europe for years by the World Ski Awards. While you can get active with traditional activities such as skiing, you can also go ice buggying, ice driving and ice karting. The resort’s track at the Alain Prost driving circuit is a lengthy 980 feet. Spaced out across 1,250 acres is Lapland Ice Driving in Ipswich, England. All that space means the organization can offer 12 different courses. There’s a two-day Maserati ice driving package where you get to drive up to five times each day in the Ghibli S Q4 and the Granturismo MC Stradale. There’s even a couple’s package ideal for anniversaries or birthdays. 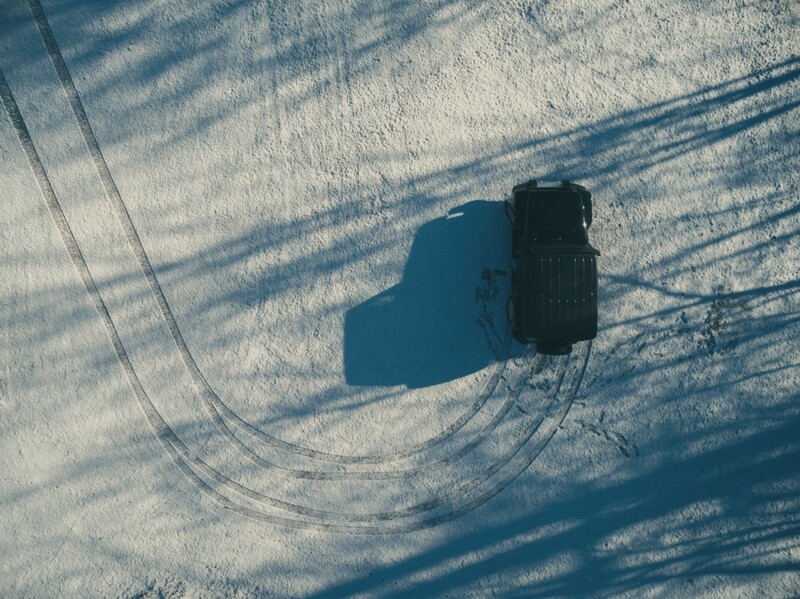 Since 2005, Below Zero Ice Driving has provided car lovers the chance to experience the challenge of driving on slippery terrain. The organization moved to Sweden in 2012 and now often gets traffic from Are, which has a large ski resort in the vicinity. The Porsche 911s are designed for wintry driving, as they include studded tires, an FIA integral roll cage and a 300-brake horsepower 3.0-liter engine. A renowned producer of car parts and tires, Bridgestone’s Winter Driving School in Colorado has appeared in Men’s Health and Parade Magazine, and on MSNBC, HDTV, CNN and more. For everyday driving, enroll in a safety class where you can become an expert on switching gears and braking in cold weather. The performance classes are for the true speed lover, particularly the Fifth Gear Fastest Ride on Ice class. For two days, you’ll learn the same tricks that rally drivers use when racing. This class is small, with only room for eight so you get plenty of one-on-one attention. Make a whole vacation out of your ice driving experience at Norway’s Ice Driver Ltd. The Vestlia Ski Resort is nearby, and although you could ski, you’ll be down on the nearby icy lake, learning from pros in the motorsports industry. After a few hours on the ice, a hot meal will be provided before you hop back on the snowy path. Another country that delights in the cold is Canada. Quebec’s Ice Driving Canada puts you behind the wheel of a Porsche Boxster as you choose from a variety of packages. The Discovery program instructs you on weight transfer impact and how to adjust your position to handle sliding. The Hot Laps program lets you see what the Boxster can do as a professional motocross driver takes you three laps around an icy track. Jamtland, Sweden, is home of the Kall Auto Lodge, which boasts a hunting cabin, fishing, and spa and health services. There’s rally racing, circuit racing and the Ice Driving Xperience, where you cruise in a Porsche 911 and learn how to drive like a pro on the ice. Once you get the hang of that, move on to the Below Zero program, where professional rally racers will guide you as you blitz past snowbanks and icy terrain. Wrap up your afternoon with a fresh meal and drink. As an adventure and skiing school that never closes down, Evolution 2 Val d’Isere is part of a ski resort in France. Learn how to drift, turn and slam on your brakes in an emergency, then prepare to feel the snow and ice under your tires as you drive a Porsche Boxster for 10 laps (Subarus are also available). The Ice Driving Center in Kuusamo, Finland, asks customers a specific question upfront: Sporty or classy? Depending on your choice, you can participate in a tailored ice-racing experience. The Sporty Driving School has “conditions for experienced drivers” as you select from a vehicle arsenal that includes a Lamborghini Gallardo. At the Classy Driving School, which focuses on “safety performance driving and enjoyable moments,” you can ride in an Impreza, Evolution or an xDrive. Southern Hemisphere Proving Grounds in Cardrona, New Zealand, began hosting ice racing on a test basis before discovering that it was an incredibly popular pastime. The Premium Ice Driving Experience blends “luxury accommodation, exquisite cuisine, and true New Zealand hospitality in a spectacular and private alpine setting.” Don’t forget, winter in New Zealand is summertime in the US, so plan your visit for July or August. Looking at the Hotel St. Michael in picturesque Livigno, Italy, you wouldn’t believe that there was an ice driving school hidden on its grounds. However, this school is a 20-year mainstay. Practice drives and races take place at the nearby Livigno Ice Arena. 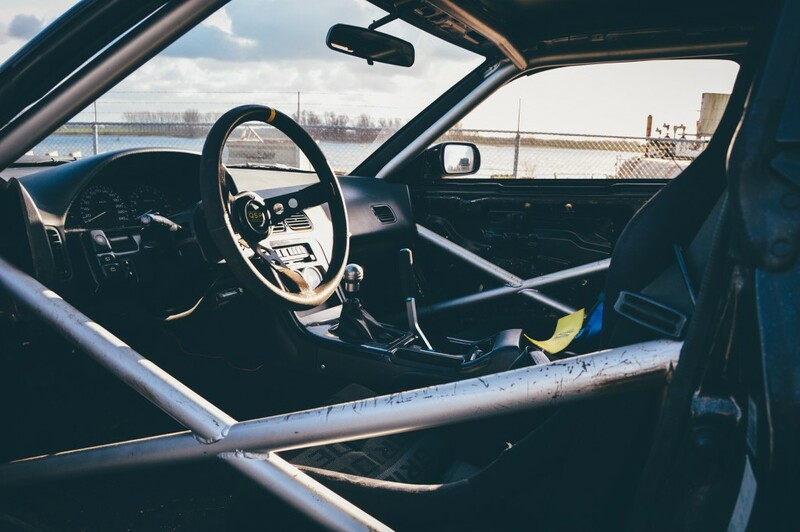 Choose from four different programs: the safe driving class, the sporting class for a bigger challenge, the super sporting class and the extreme class, which is the most advanced of all and welcomes those who have raced before. While the other racing organizations on this list are all about high-octane fun, NHSA wants to present snowmobiling in a different light, one that can be “a safe family recreation.” This organization has existed since 1969 and teaches safety classes, has monthly group meetings to promote the organization’s objectives, and rides in the picturesque New Hampshire snow. Every year since 2012, USXC in Spicer, Minnesota, has transformed ice racing, blending it with racing in the woods and ditches to make the events even more challenging. The season runs from December until March, and new members are welcome to join each year. As a resource for trails, clubs and snowmobiling events in Utah, the Utah Snowmobile Association underscores all this fun by promoting safety above all else. 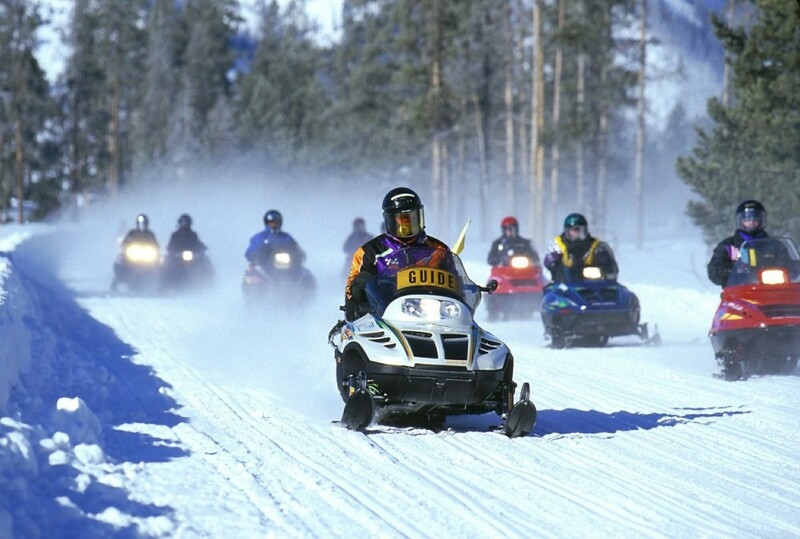 The nearly 30-year-old organization is your gateway to every snowmobile ride in the state. Who says only adults get to have fun? The WKSRA is all about the kids. Children ages 4 through 15 are welcome to race during the organization’s season, which runs from December through March. Whether a child is a beginner or they’ve practiced for years, they can join three classes: the Juniors, the 120’s and the Kitty Cats. After some training, they’ll race against others who match their age and skillset. In Saint Charles, Michigan, the weather gets especially frigid. That’s when the Saints Snowmobile Club comes out to play. If you want to hang with these racers, you need a vintage snowmobile. New Hampshire group RMR XC calls itself the “most widely-recognized and respected sanctioning body for snowmobile cross country racing in the northeastern United States.” Learn the ropes with classes that some of its own racers teach, which are organized for kids and adults. More than 100,000 racers outside of Michigan and more than 380,000 snowy faithful within the state are part of the MSA. They receive the publication Michigan Snowmobile News and can enroll in safety classes. Link up with other smaller Michigan snowmobiling organizations as a part of the MSA’s Adopt-A-Trail program, where you set up events for groups like the Pere Marquette Snowmobile Club, the Snow Drifters of Hamilton Co. and Wayland Snowmobile Club. Nonprofit organization OVA is passionate about ice oval racing on snowmobiles and other vehicles. The group has aligned with other key organizations in Minnesota (the OVA itself is based in Anoka) so its riders can participate in the best events that the state has to offer. Some races on the calendar include Eddy’s Resort race in Onamia and the Winter Spectacular Alexandria. Although a motorcycle club by name, Lucky Thumb is based in Deford, so its riders are certainly accustomed to the bitter cold. It’s no wonder then that the group has snowmobile racing in the winter. Throughout the season, riders of various ages compete, earning points. Once the weather begins to warm up, Lucky Thumb determines a winner. Whether you enjoy watching snowmobile races or gliding along the snow and ice yourself, the NSSR welcomes all fans of the sport. Speed runs on tracks measuring 1,000 feet are the norm for this organization, which was established in 1986 (the same year that it held its World Record Series). This group’s racers often venture out to Canada, Wyoming, Wisconsin, Minnesota, and other chilly states.